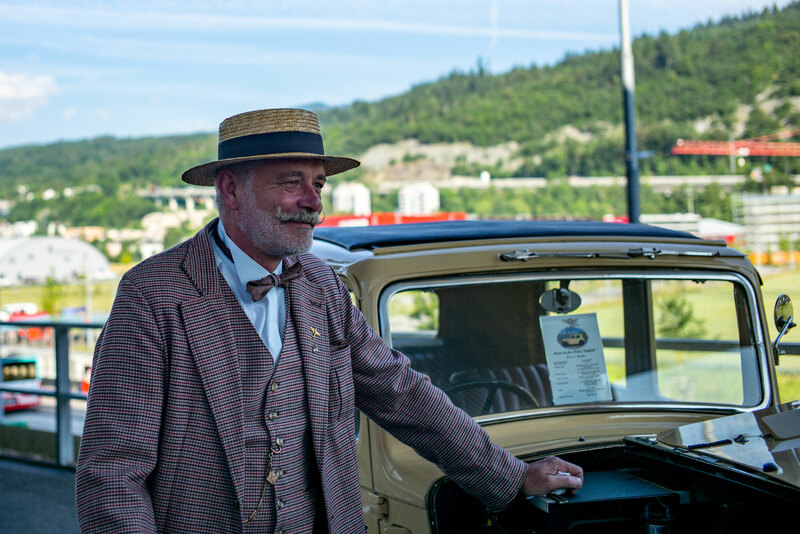 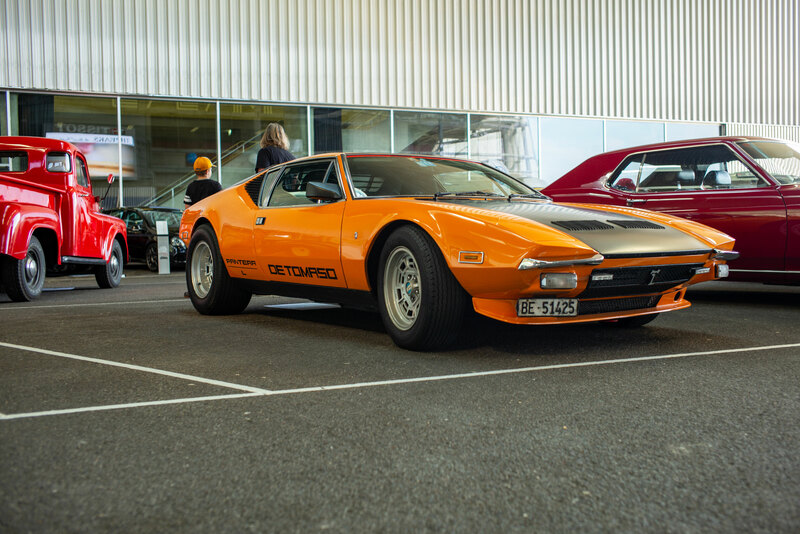 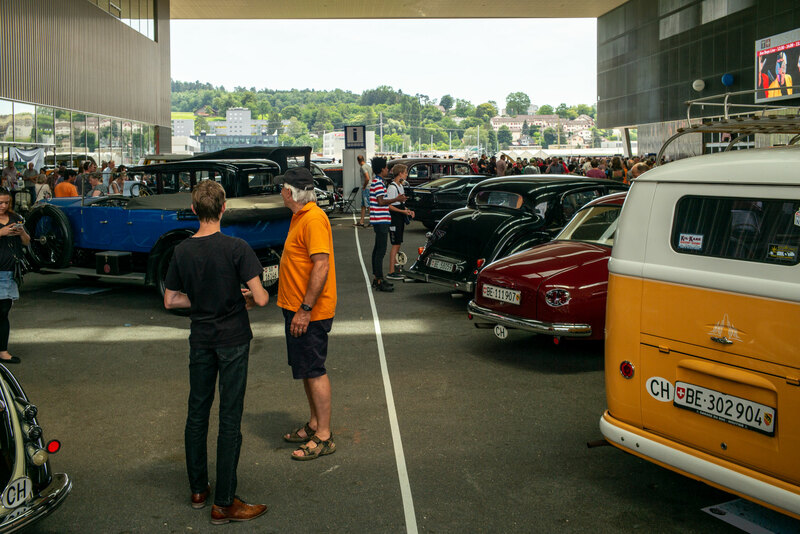 We would like to sincerely thank the more than 6000 visitors who participated in the 1st Old Wheels meeting. 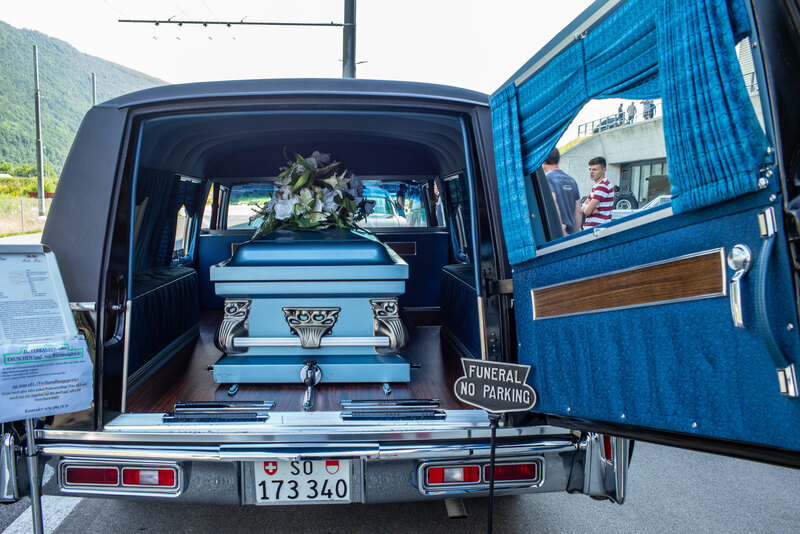 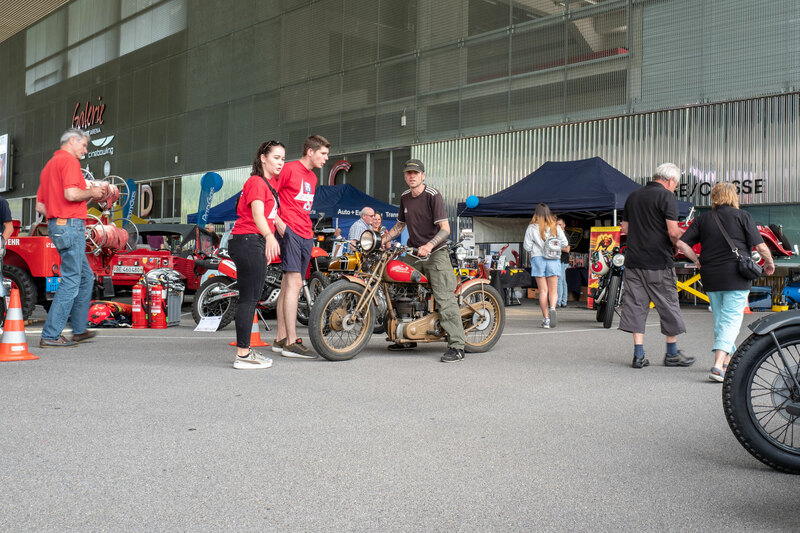 More than 715 vehicles / motorcycles were visiting this event. 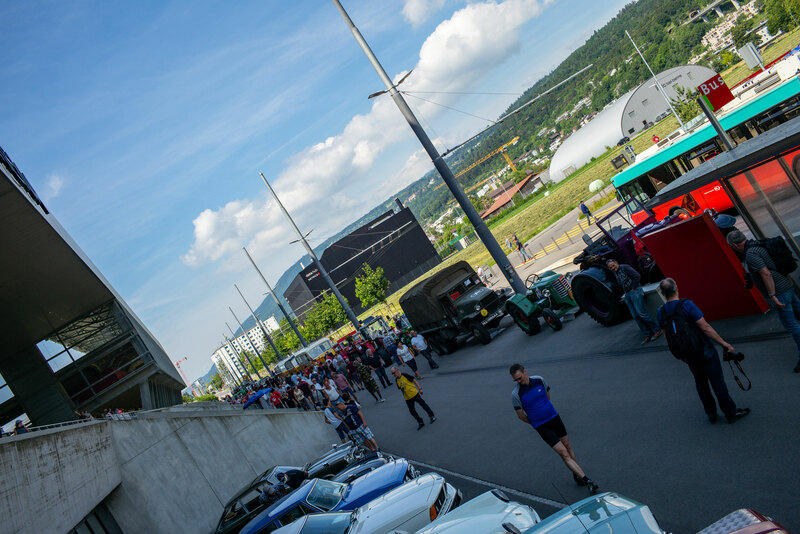 It was a fantastic day with a great atmosphere and a huge variety. 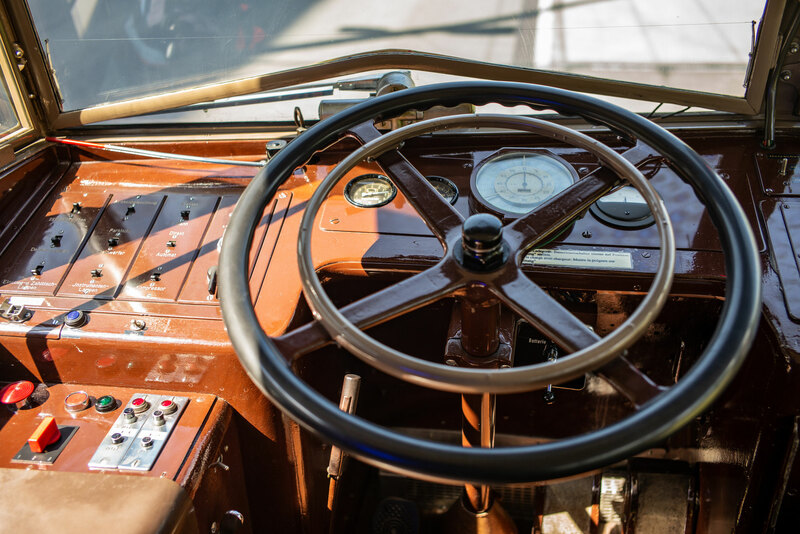 We look forward to 2019, hopefully with you all and many more. 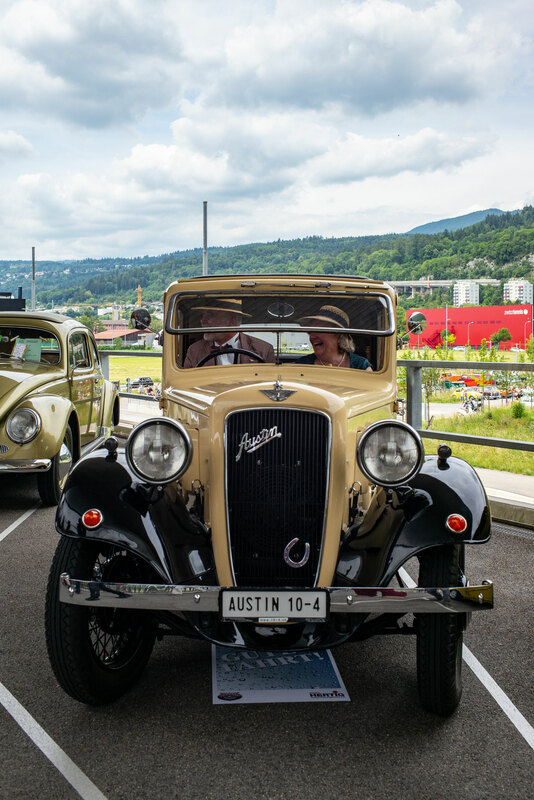 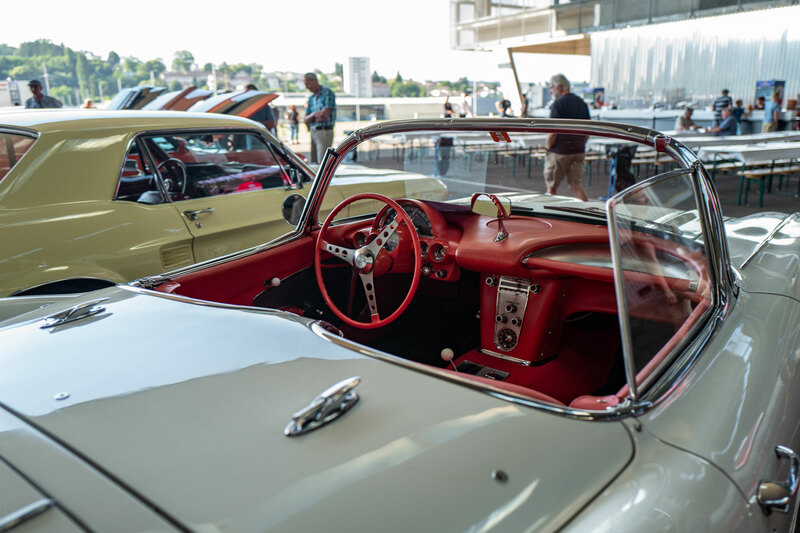 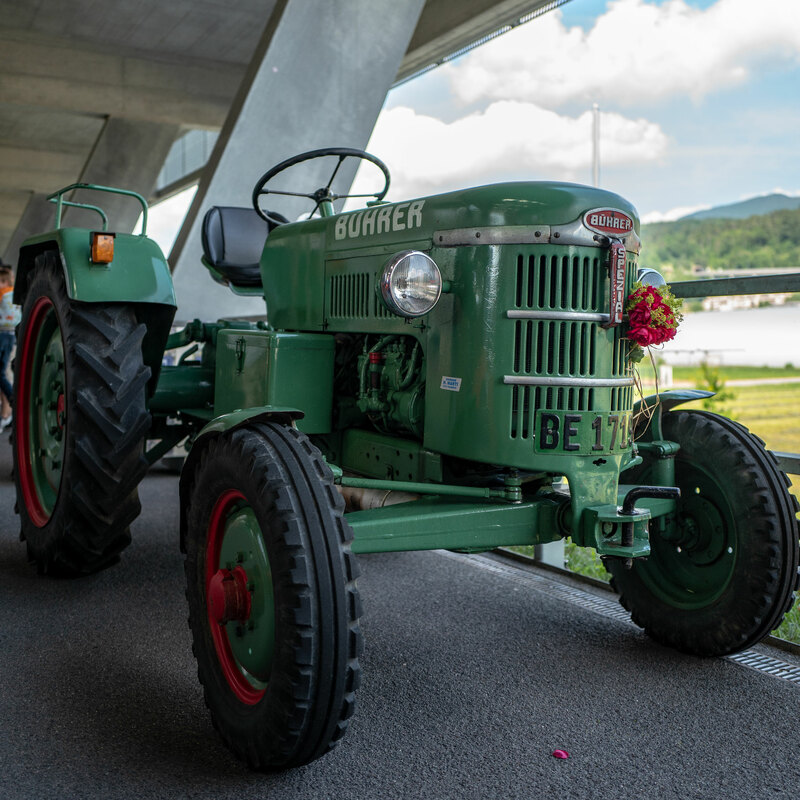 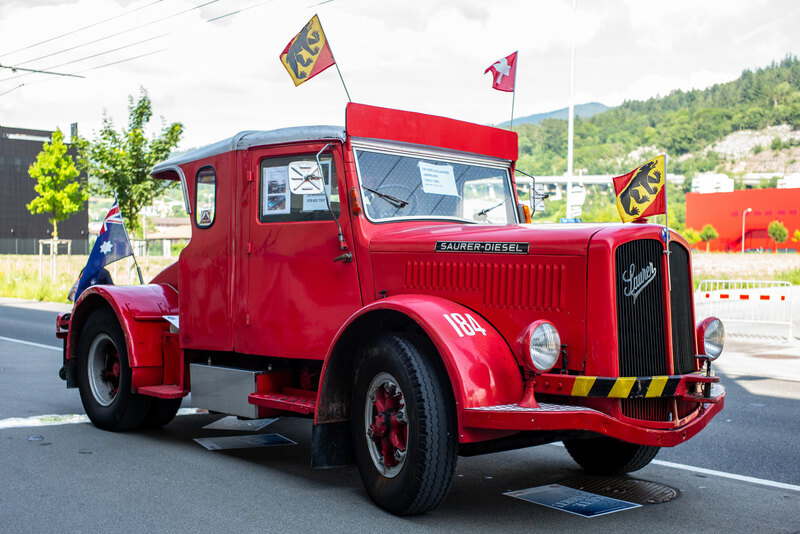 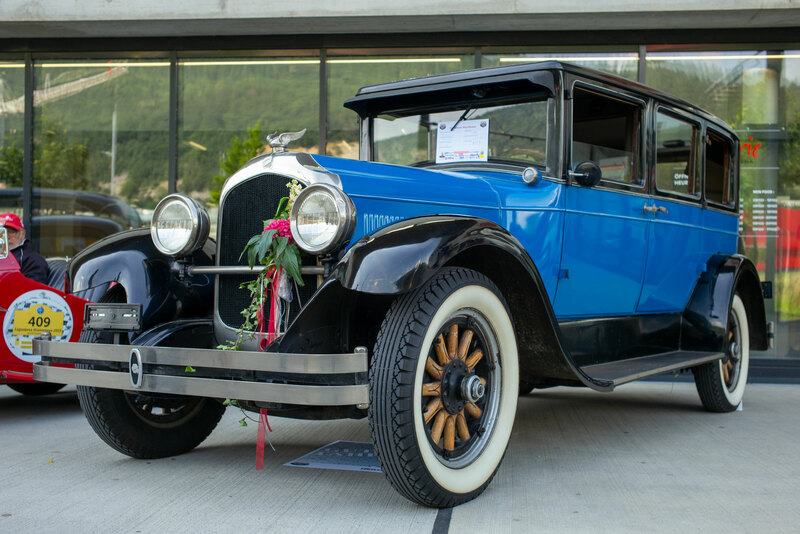 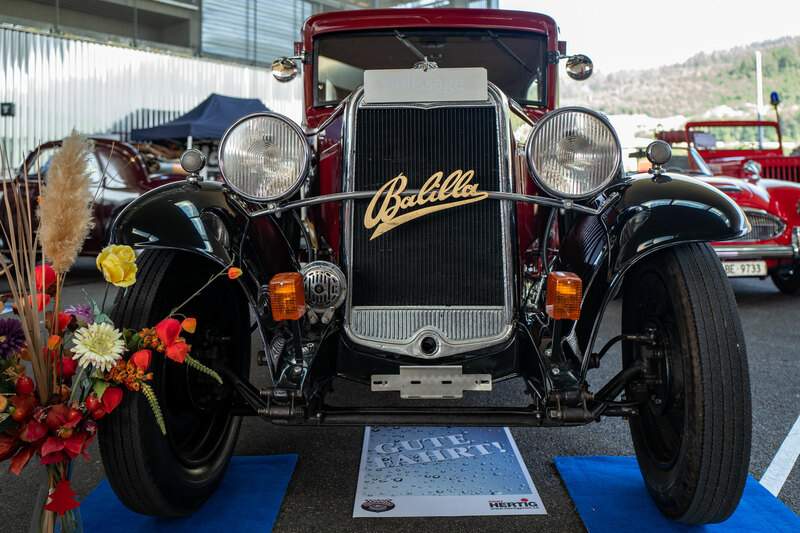 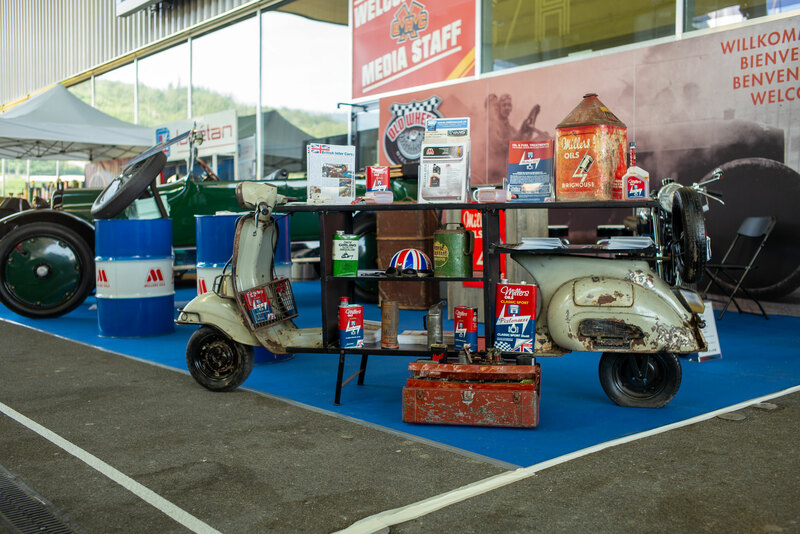 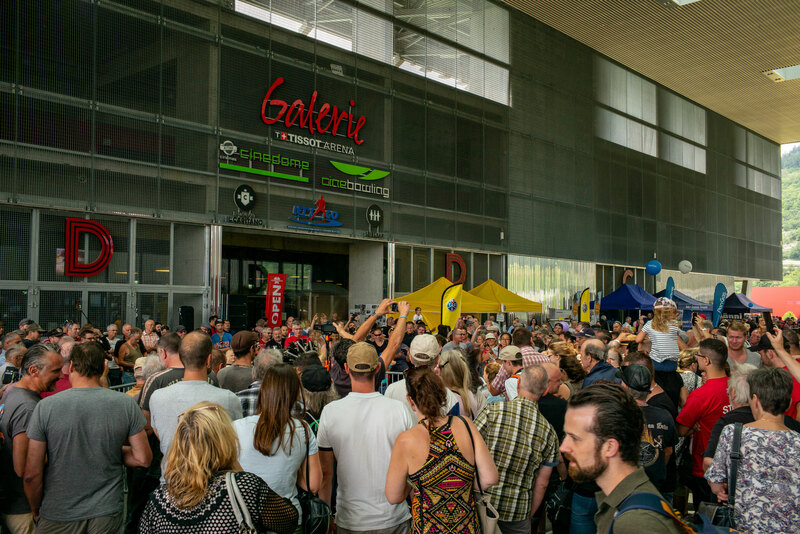 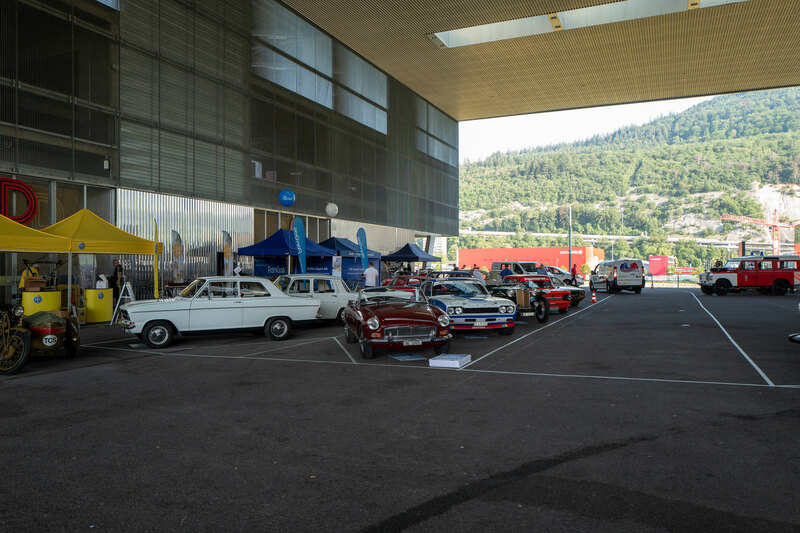 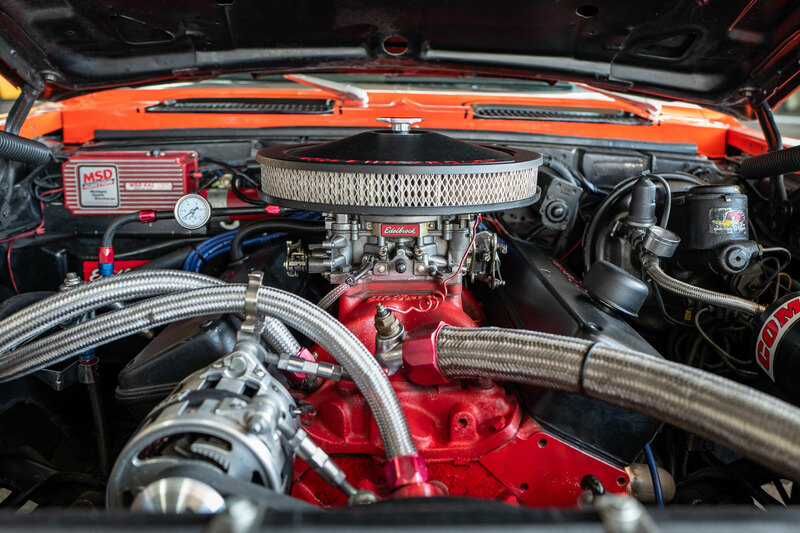 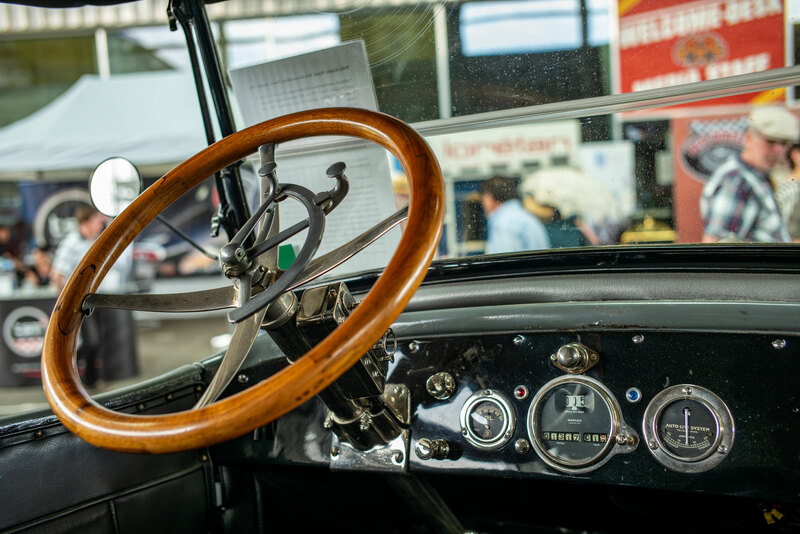 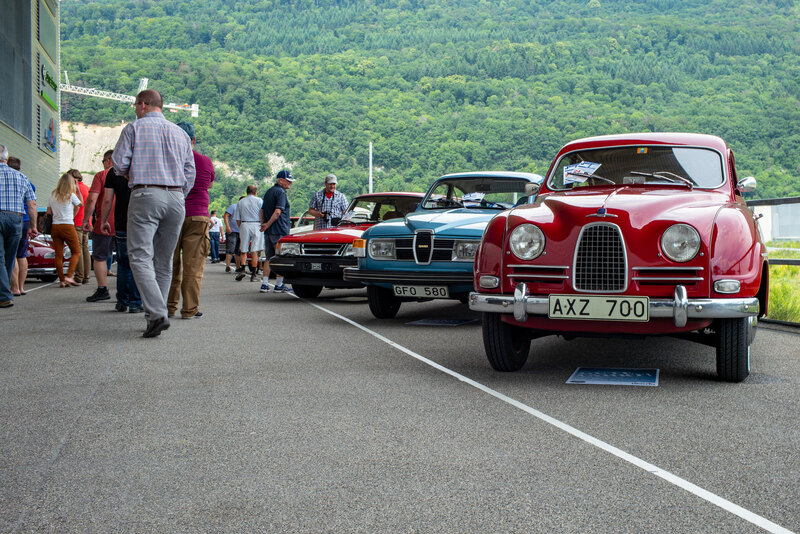 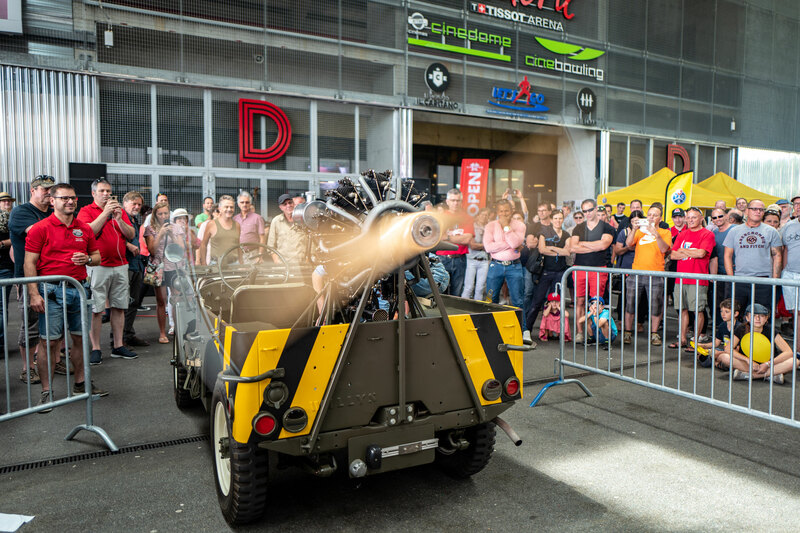 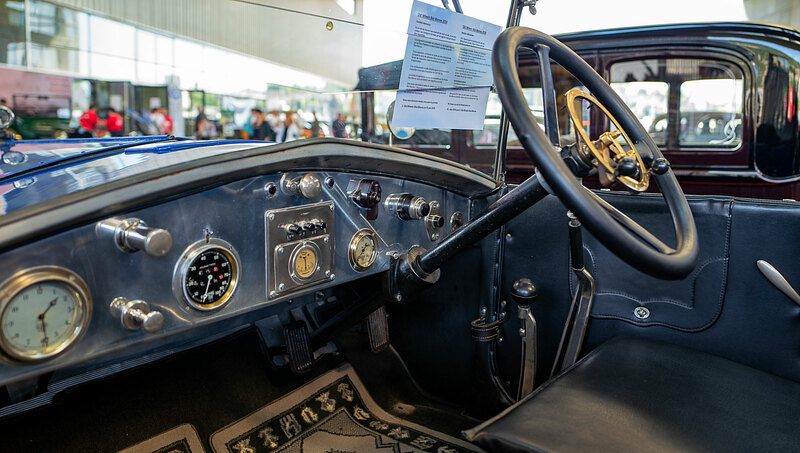 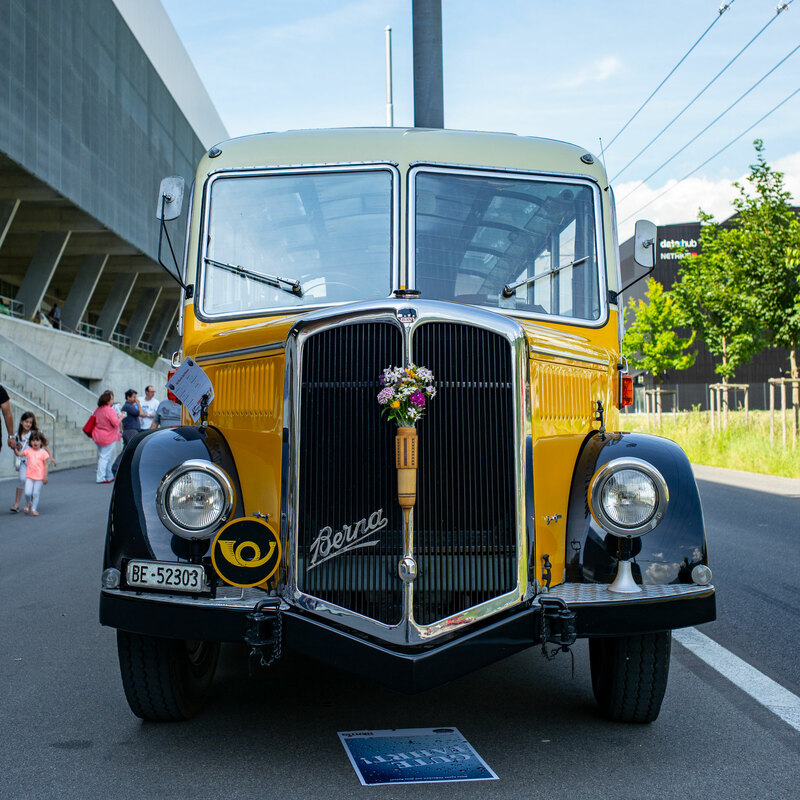 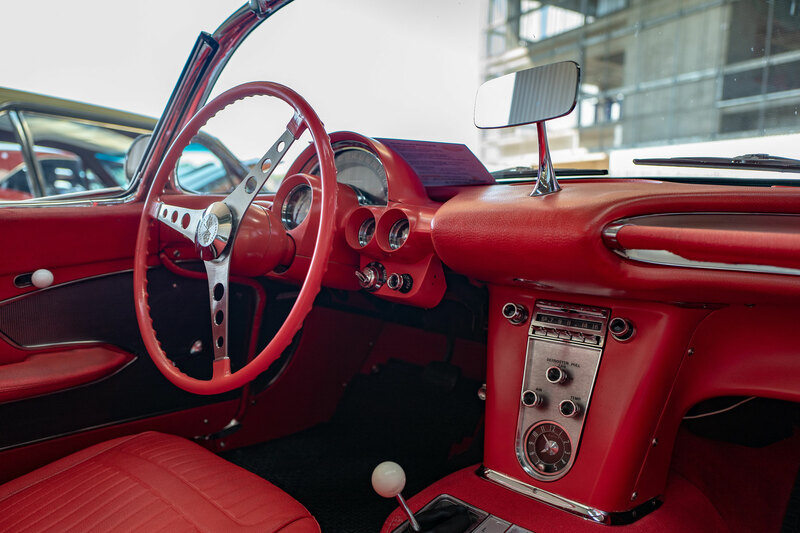 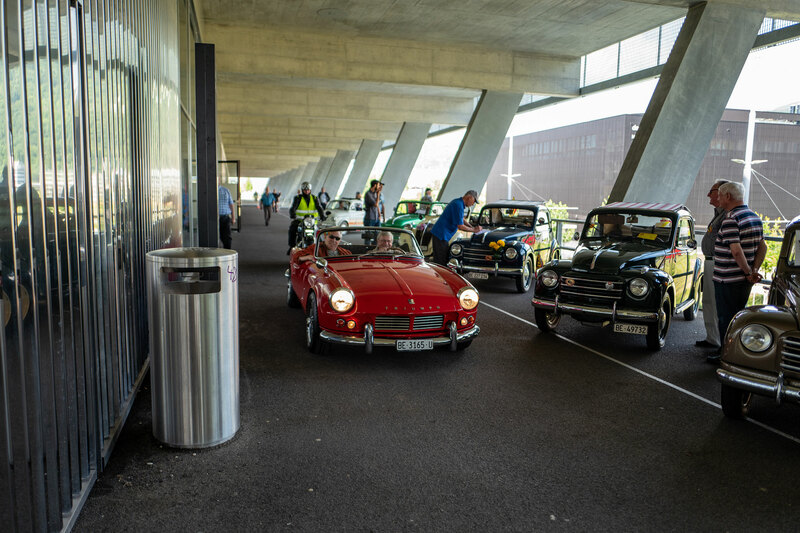 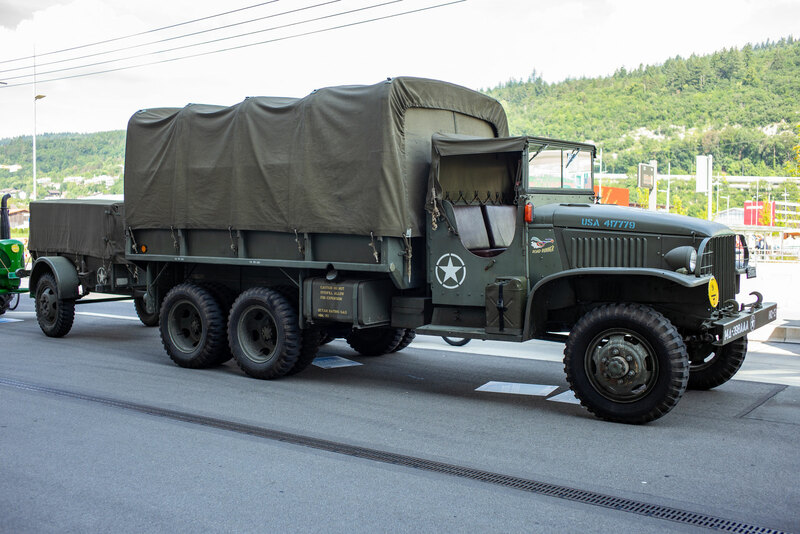 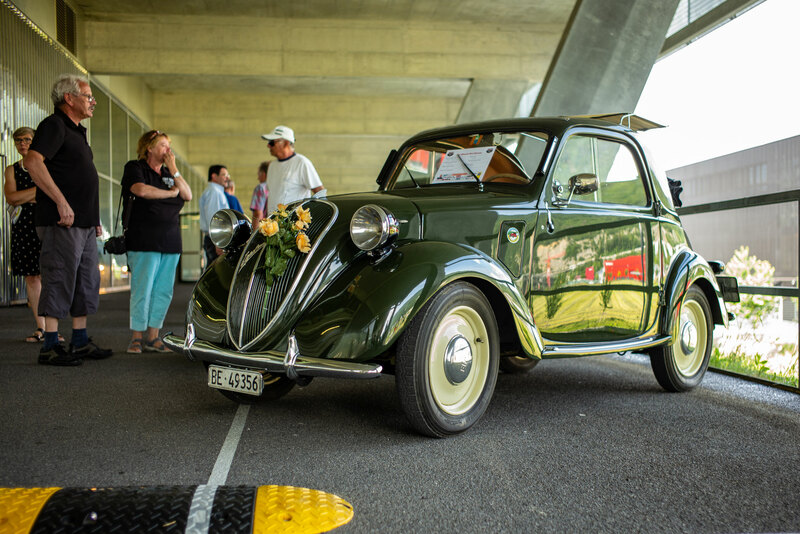 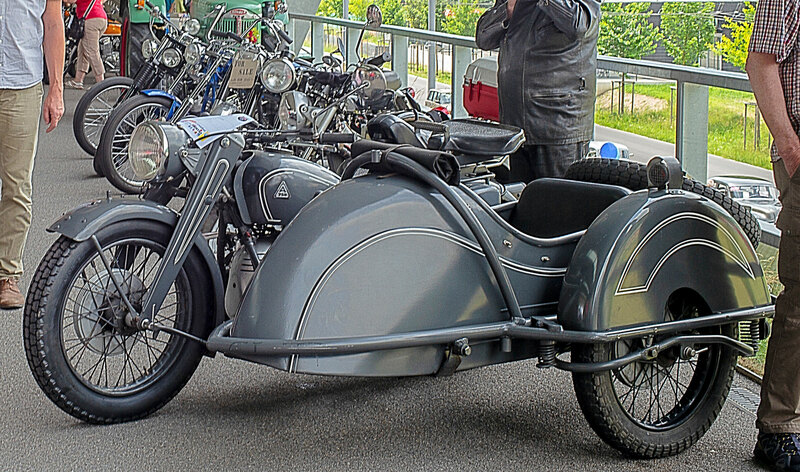 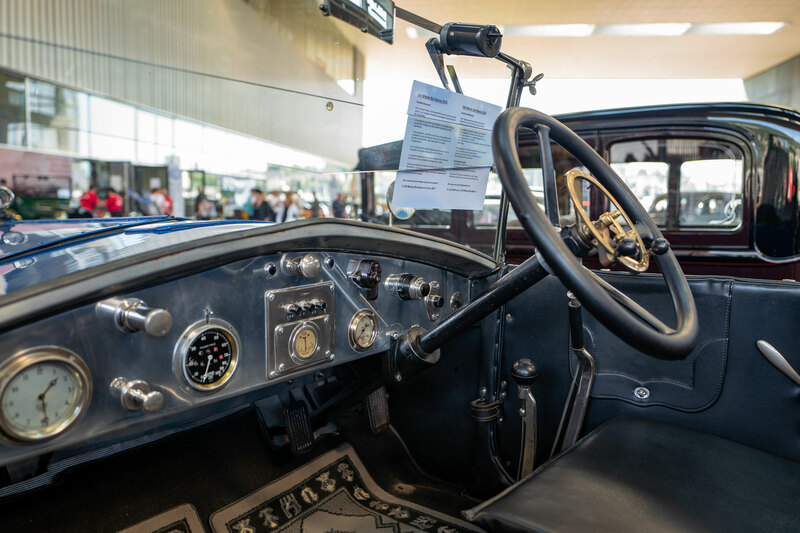 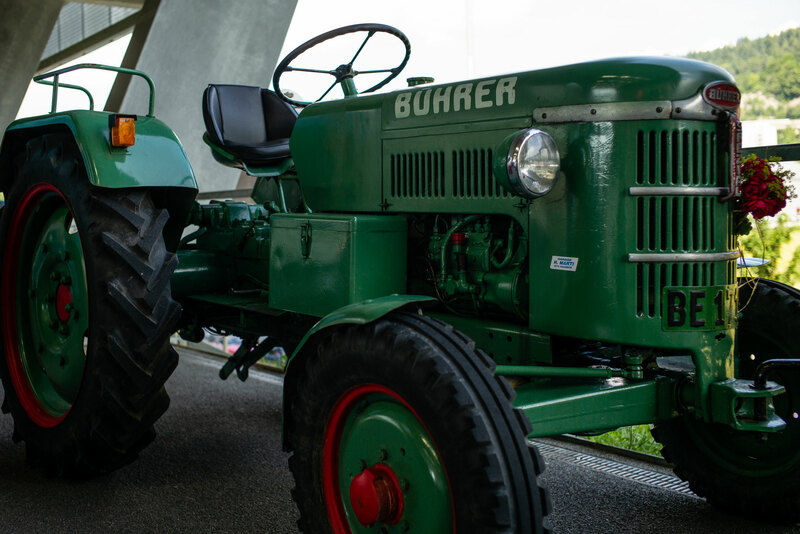 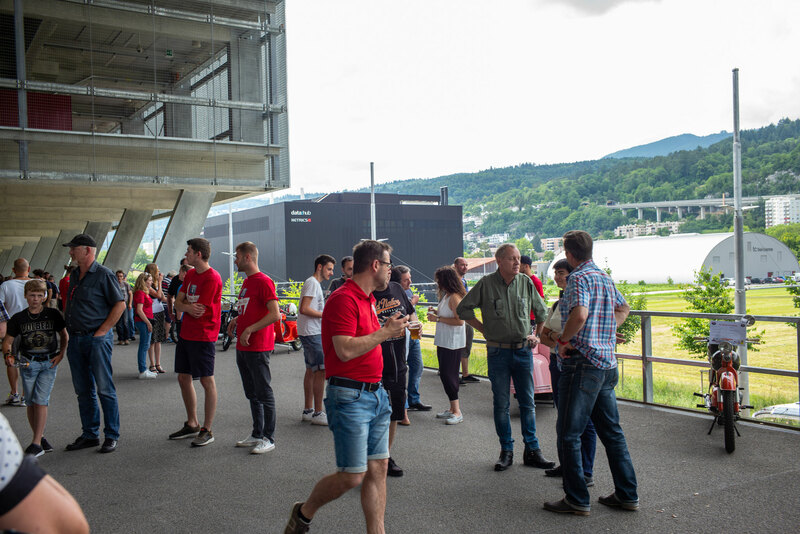 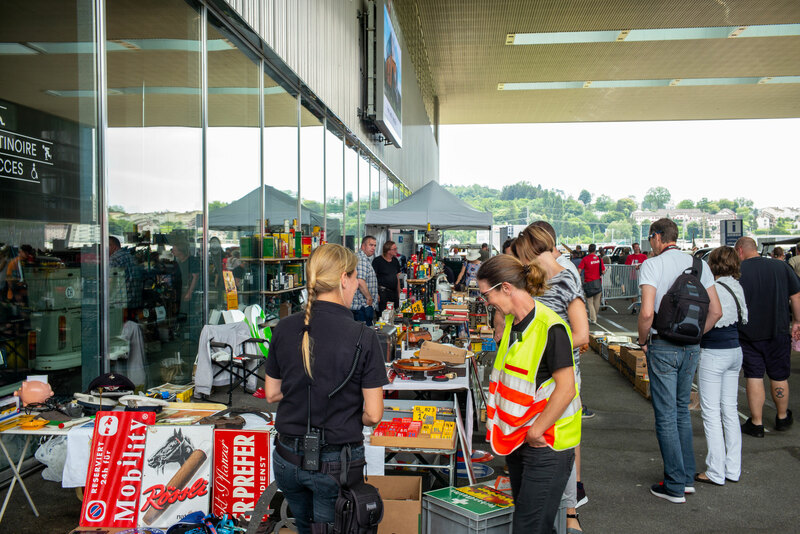 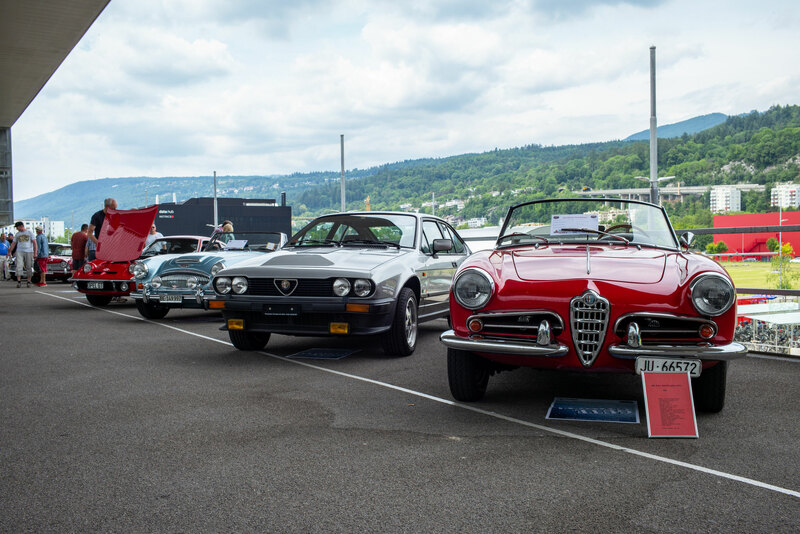 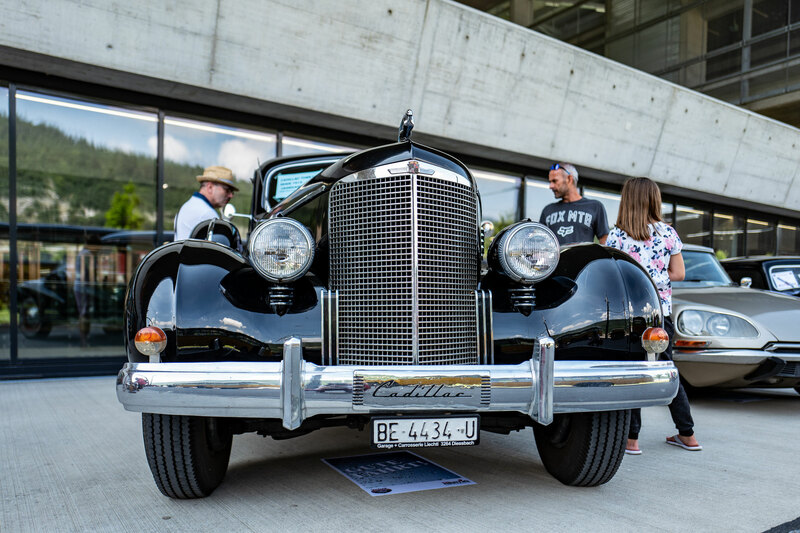 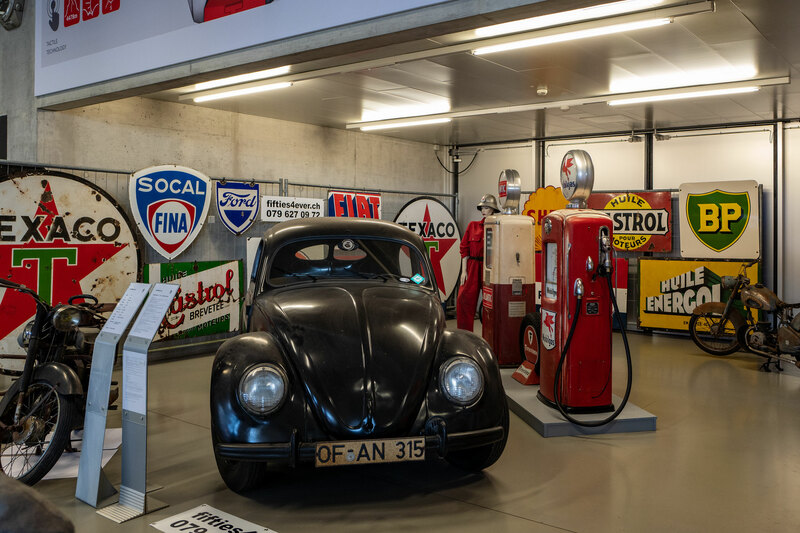 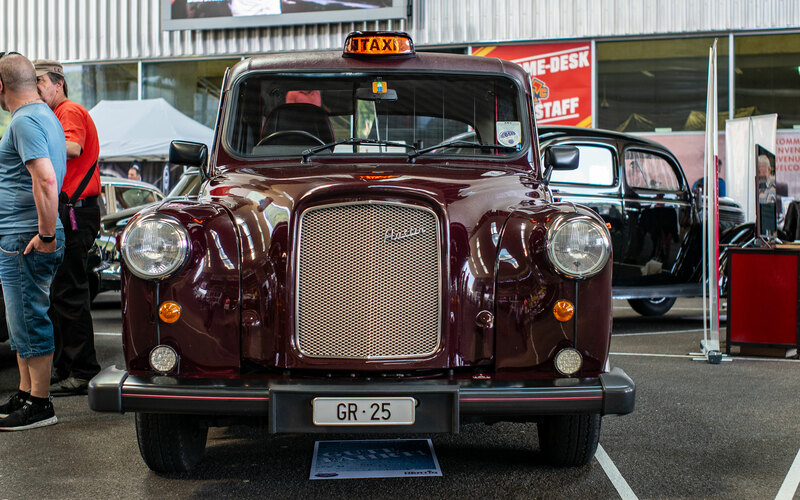 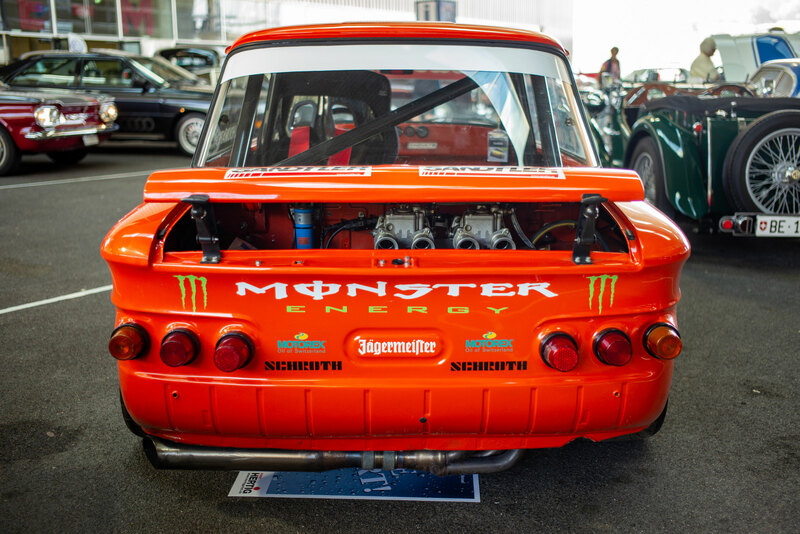 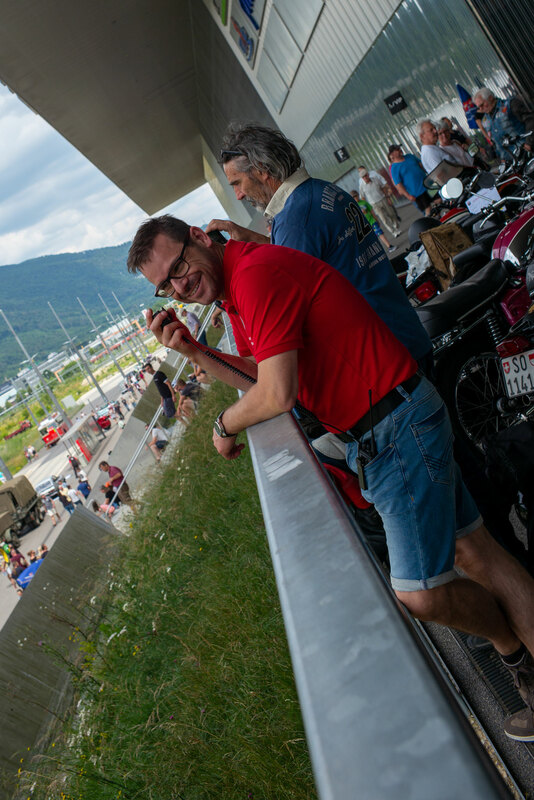 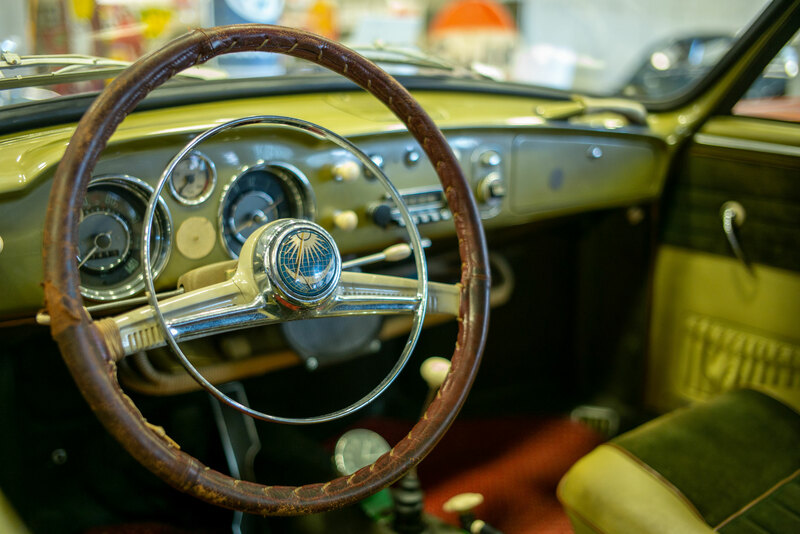 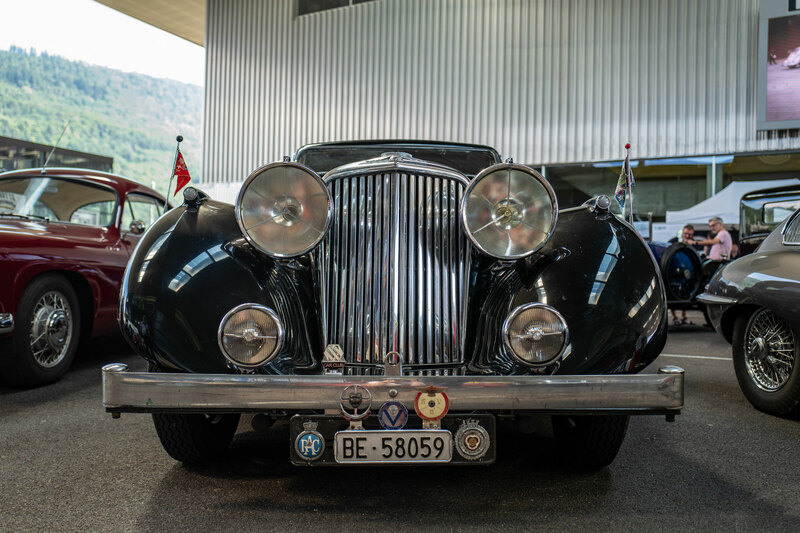 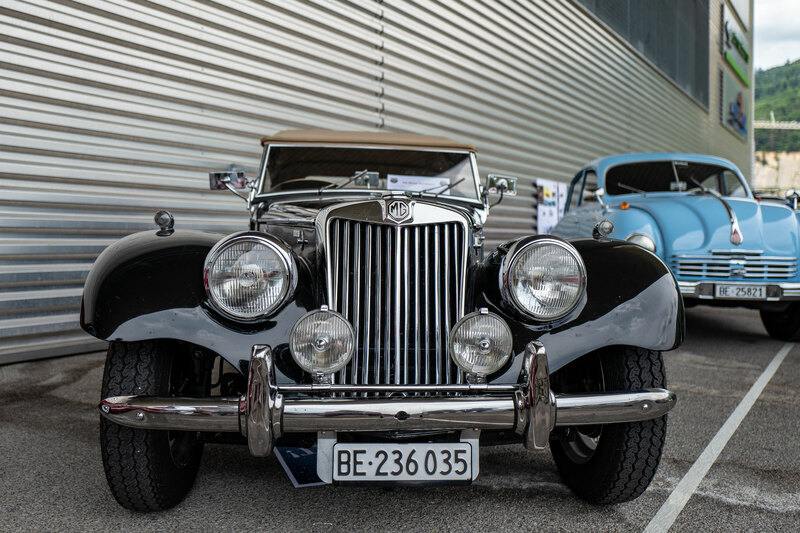 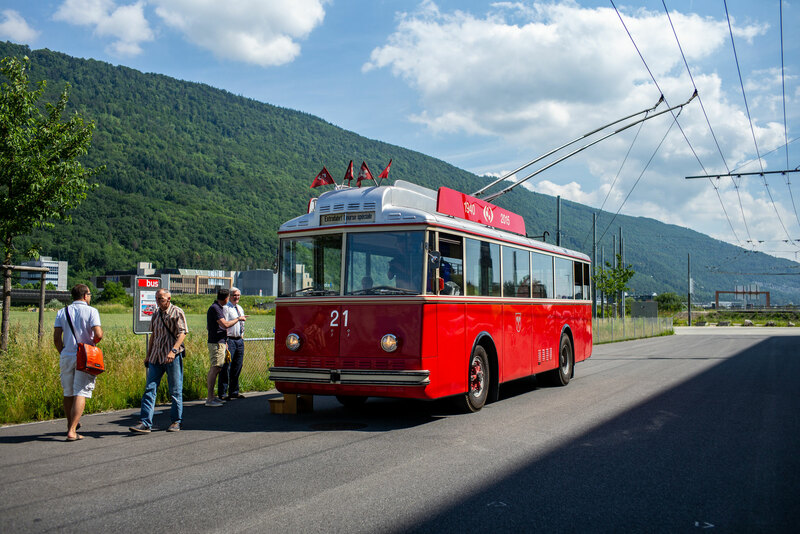 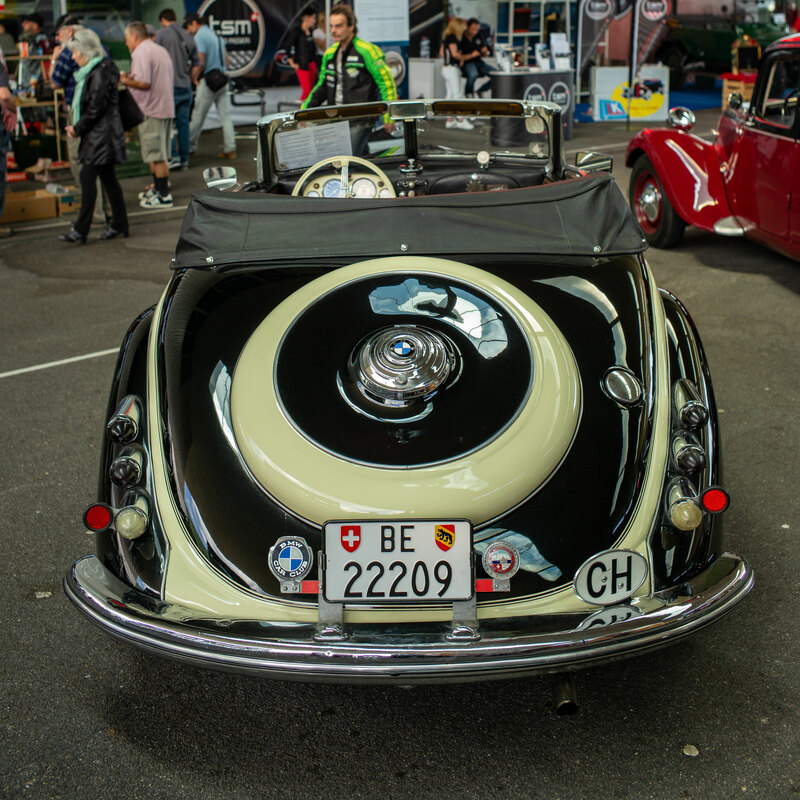 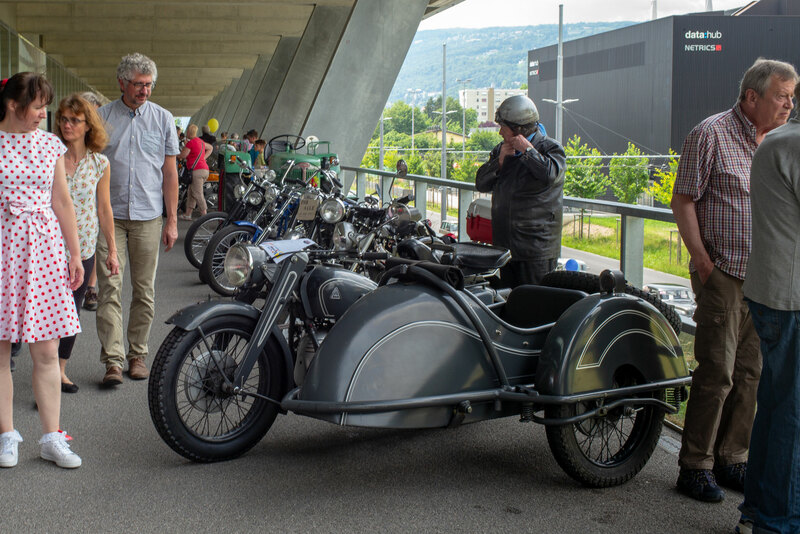 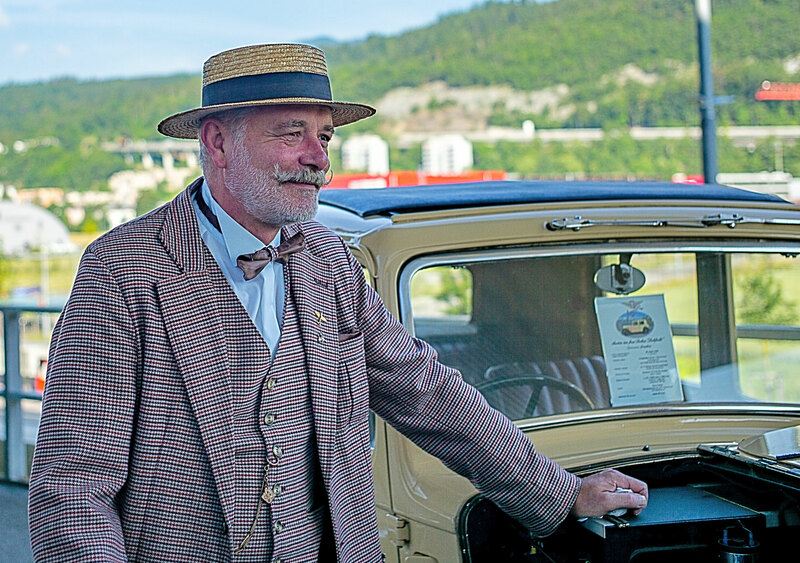 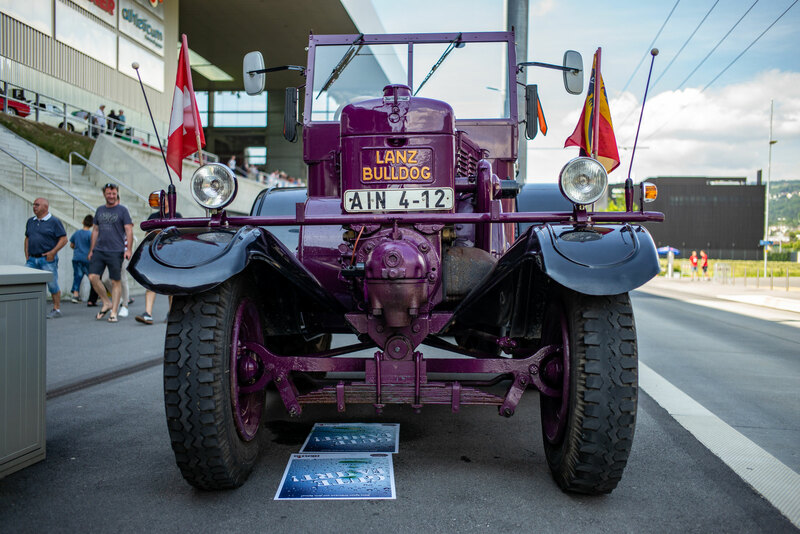 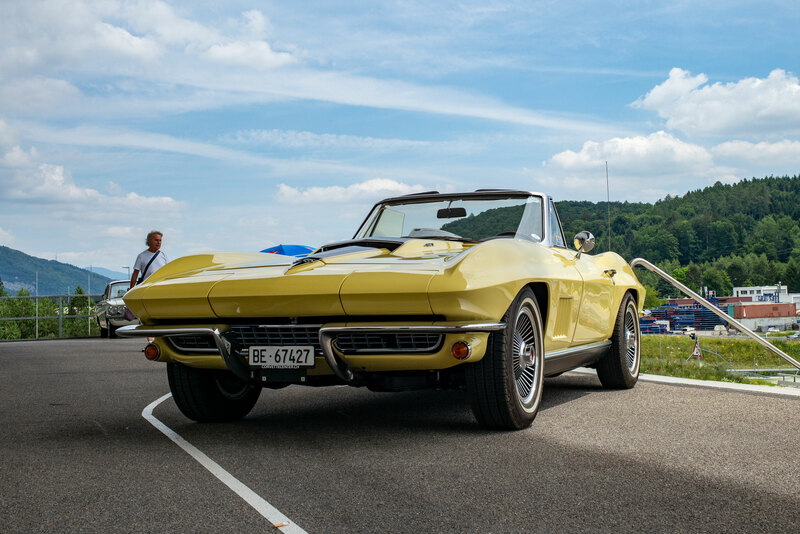 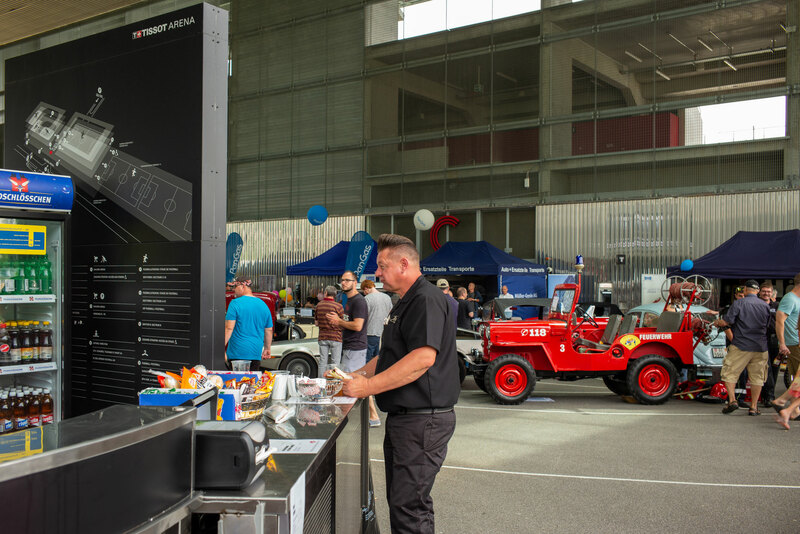 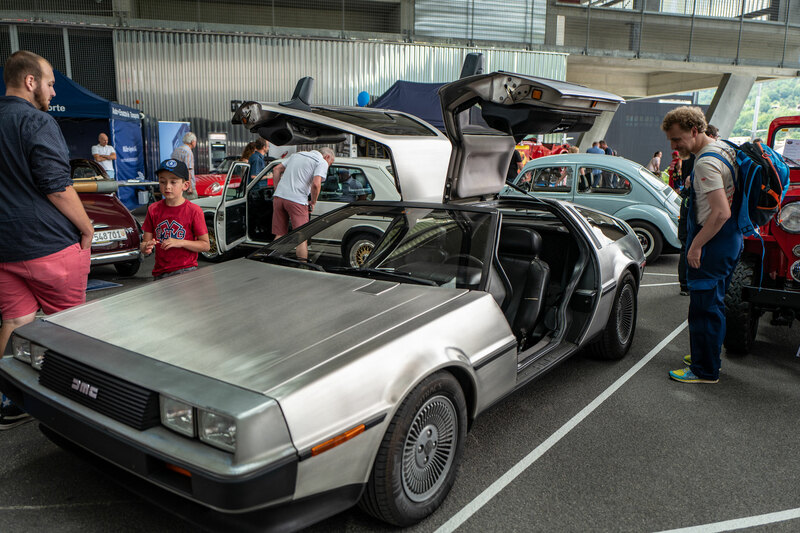 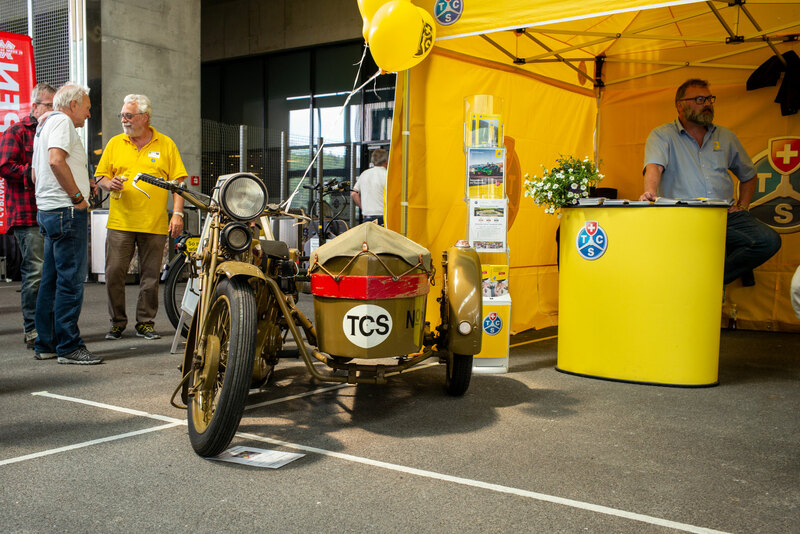 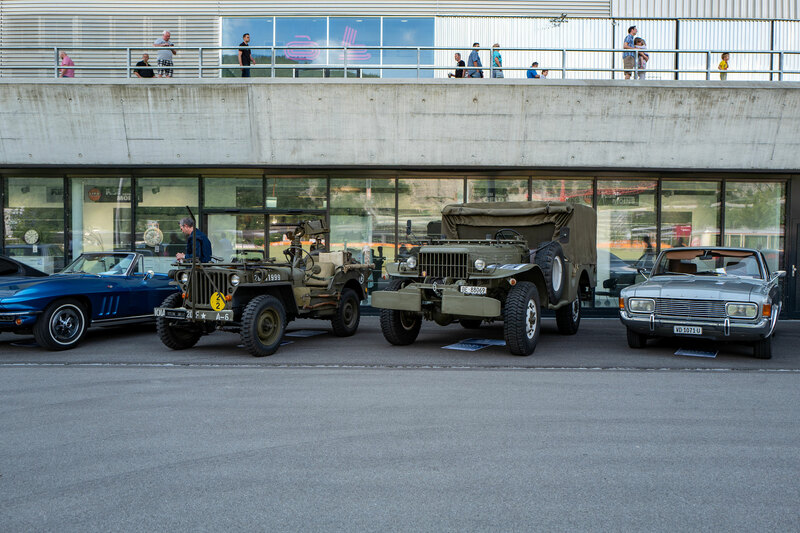 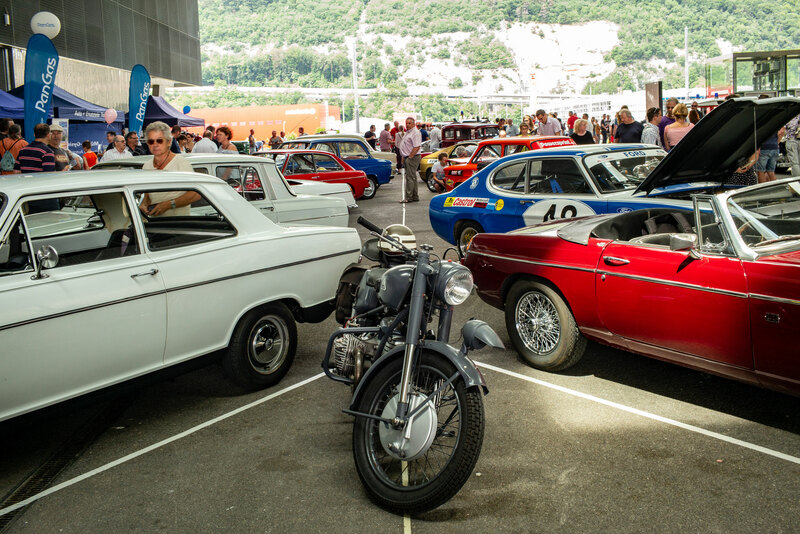 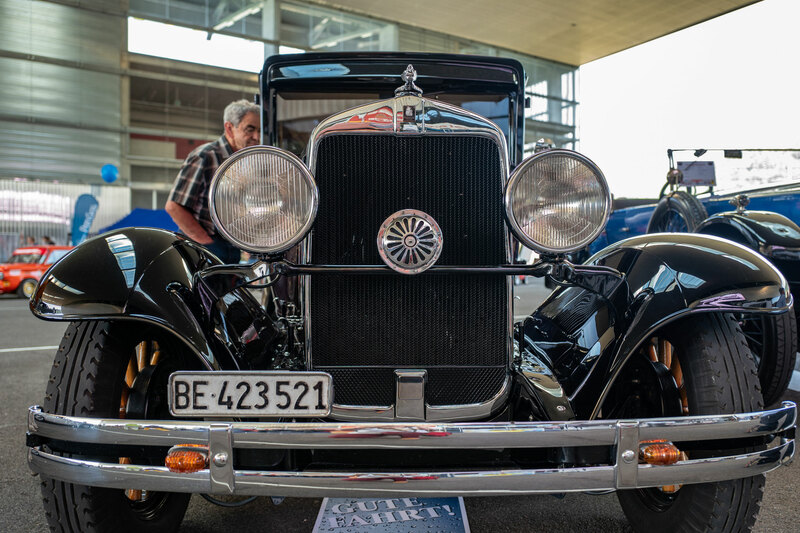 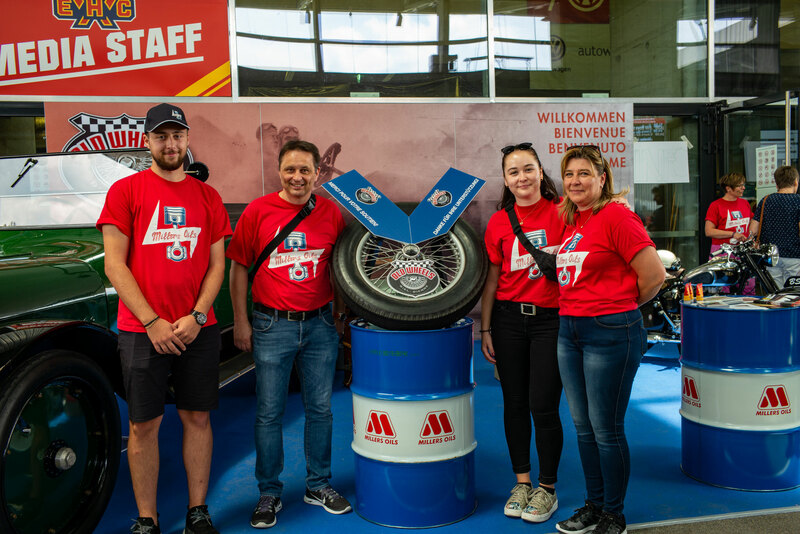 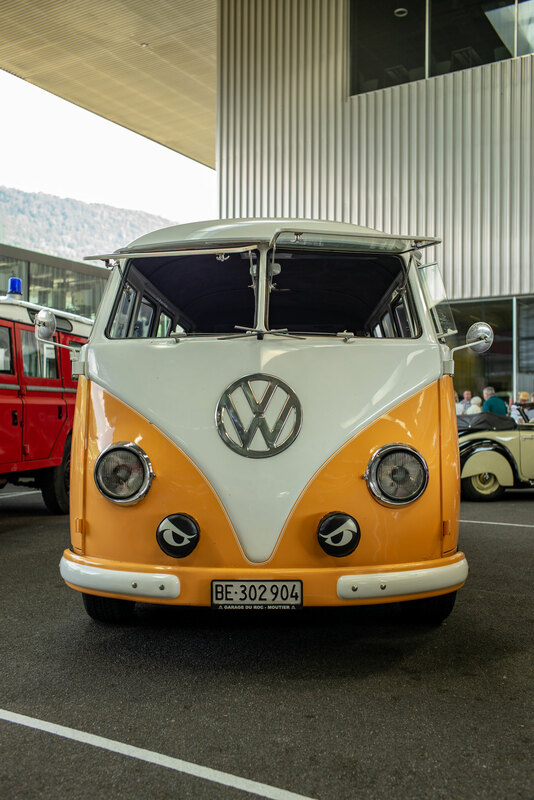 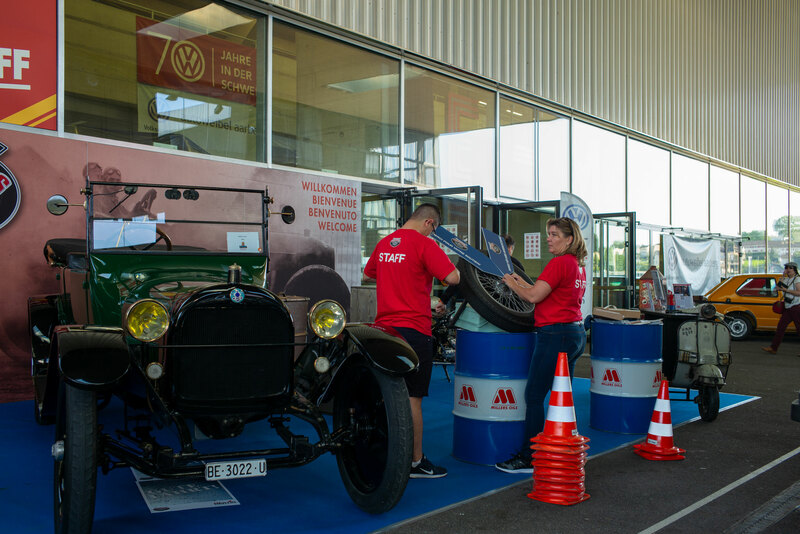 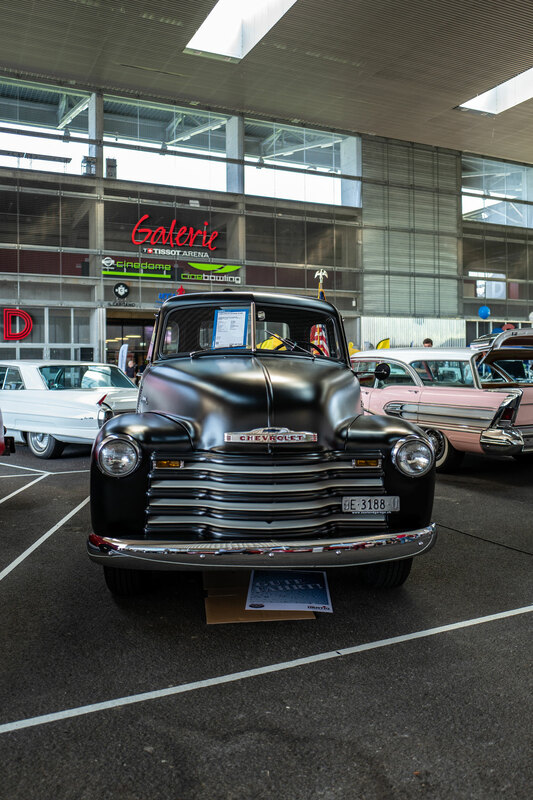 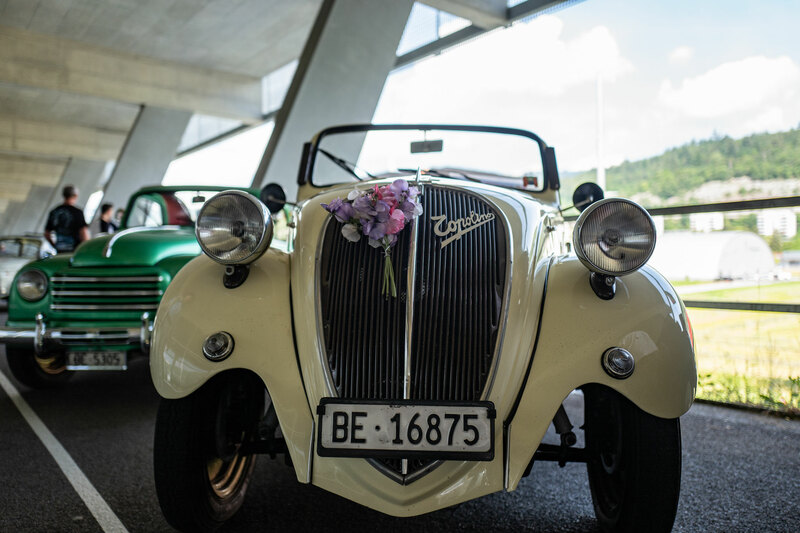 The annual Old Wheels Biel-Bienne meeting has taken place exclusively on the largest covered square in Switzerland, in the Tissot Arena in Biel-Bienne, canton of Berne, Switzerland. 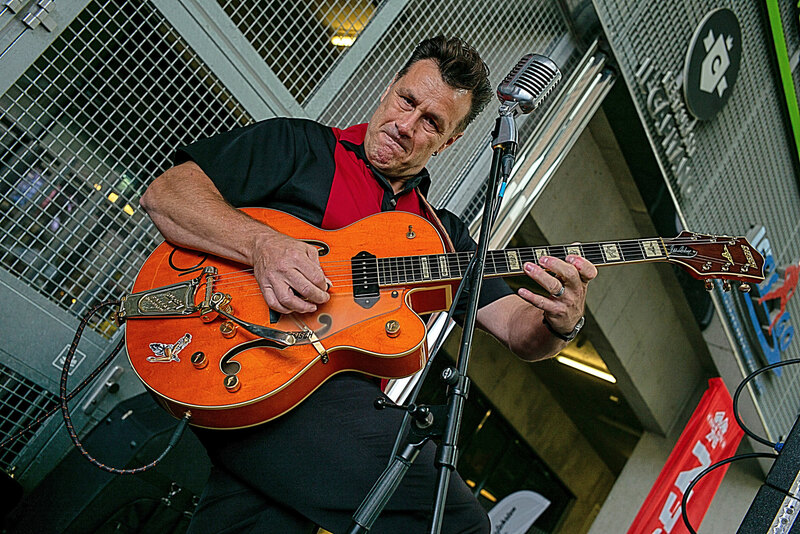 The rockabilly band is reunited after a 25 year break and will also present their new single "Radar". 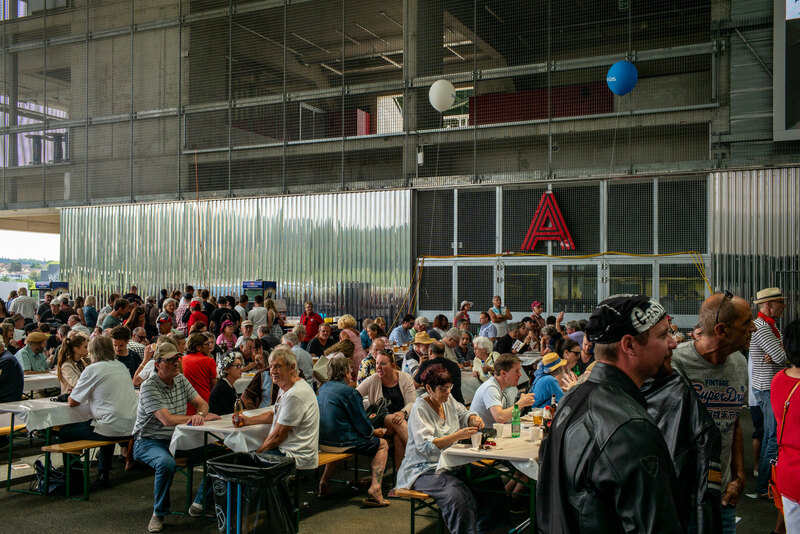 Spread over the day, 3 performances on the stage "Place Publique" are planned. 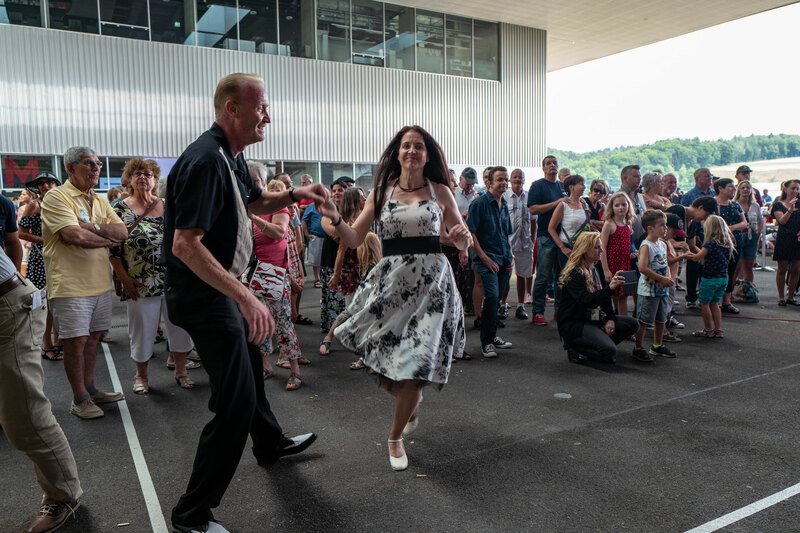 The Jive Boys are without a doubt one of the most successful Swiss Rock 'N' Roll bands - back then as well as in the past. 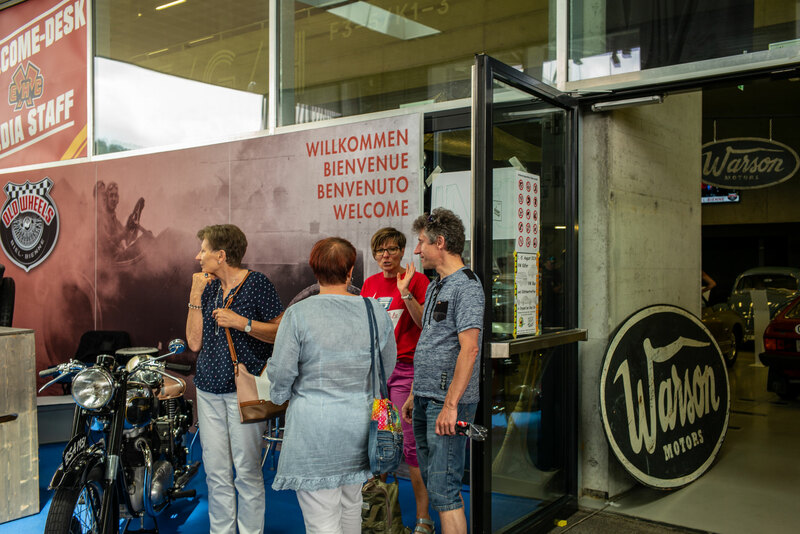 Since their foundation in 1984 they played concerts in Europe until the beginning of the 90s. 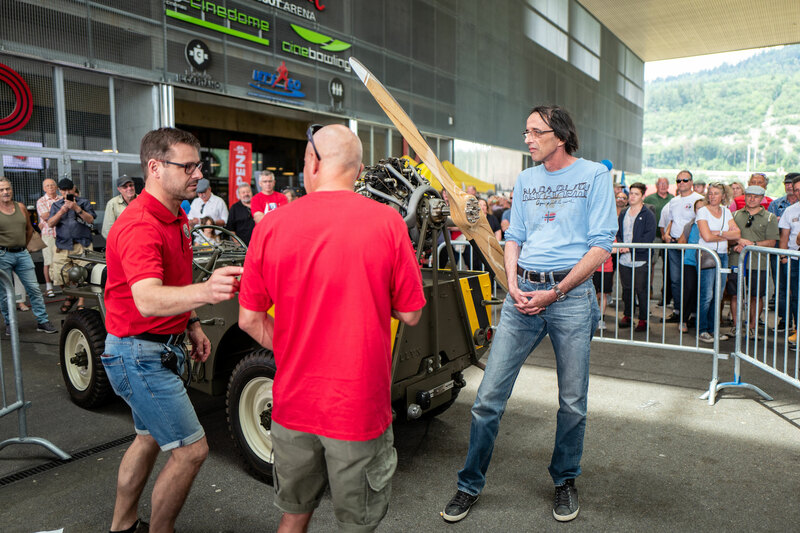 Now finally, after 25 years, the band has reunited - in the original formation. 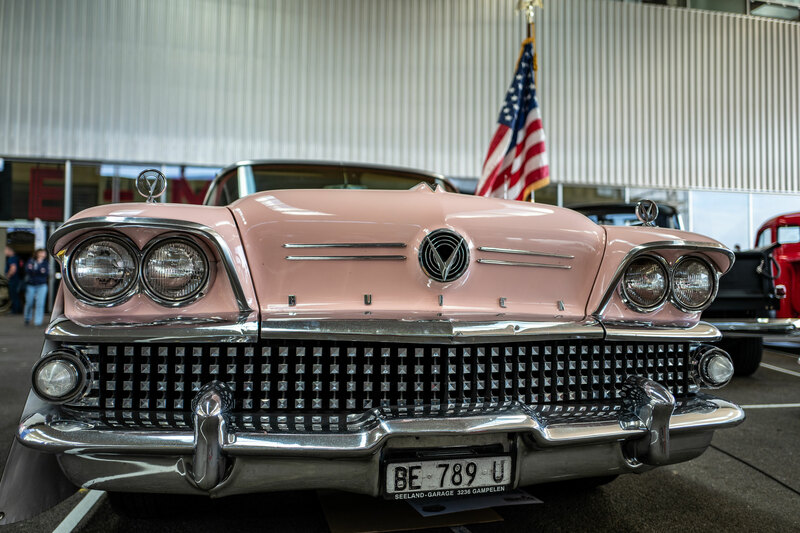 Their sound consists of stirring rhythms combined with catchy melodies of the 50s and convincing vocal and background choirs. 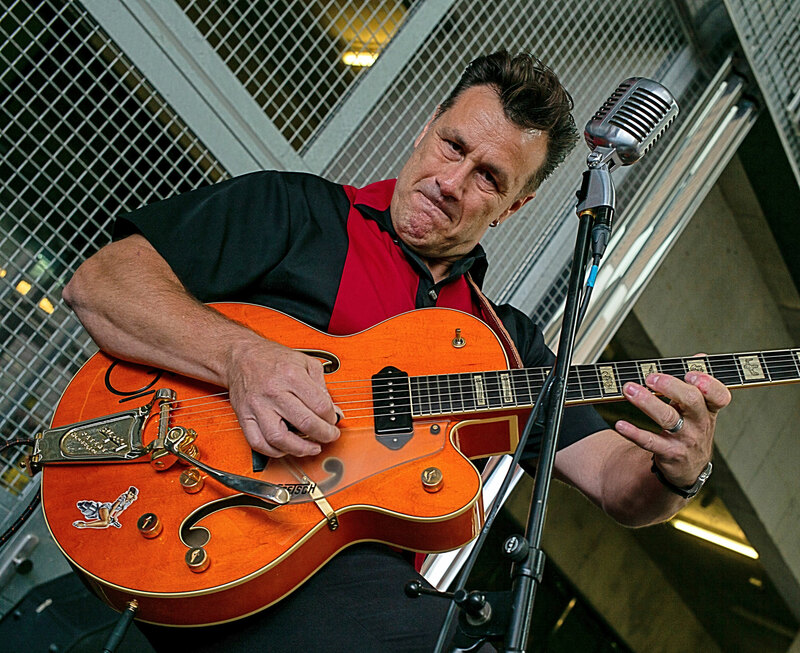 On the Jive Boys homepage songs and videos are presented. 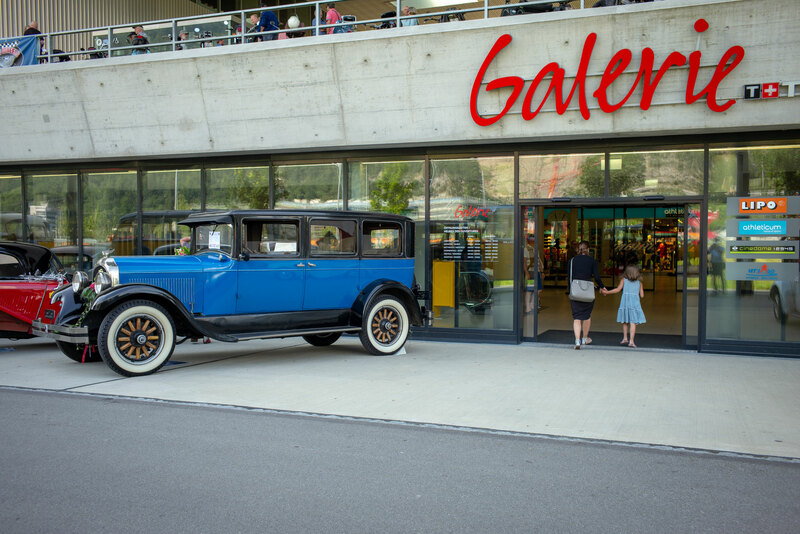 Old Wheels Biel Bienne waits with another attraction: a Salmson Saloon engine, 9 cylinders, with a displacement of three liters from 1930. 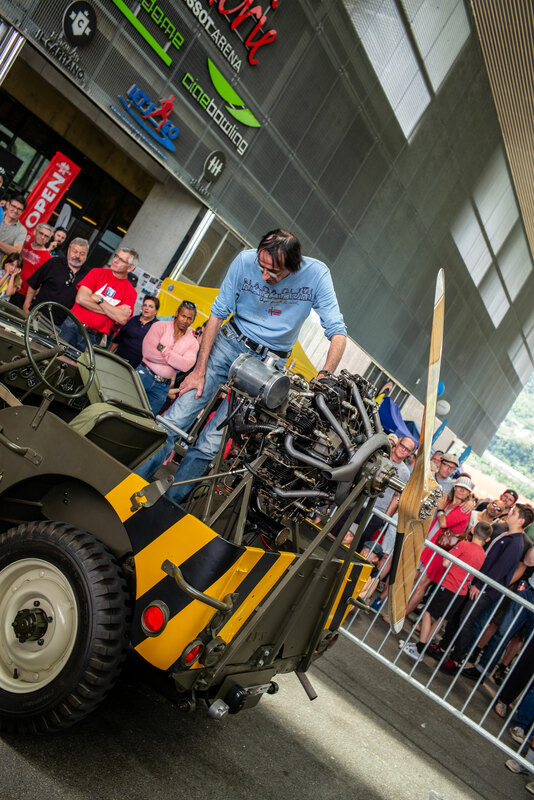 This engine is assembled on a Jeep and is also started.The 3,7 and 9 cylinder Salmsons were license-built in Great Britain, during the 1920s and 1930s, by the British Salmson engine company as the British Salmson AD.3, British Salmson AC.7, British Salmson AC.9, and British Salmson AD.9. 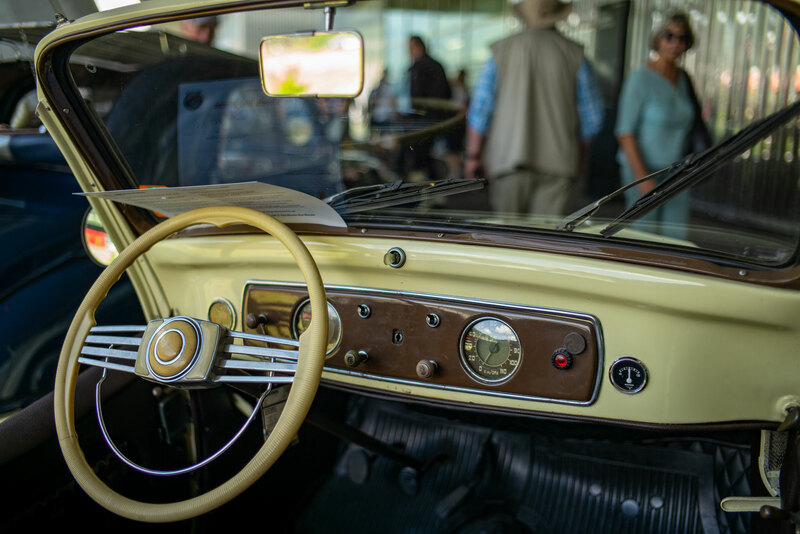 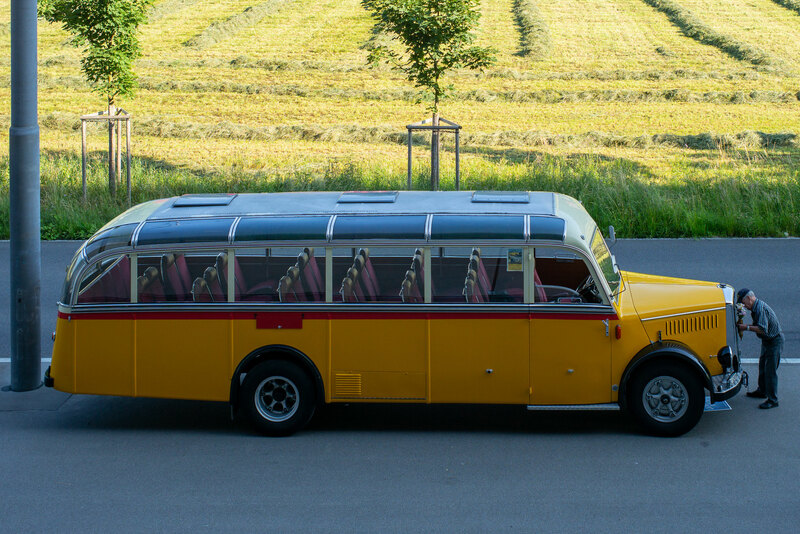 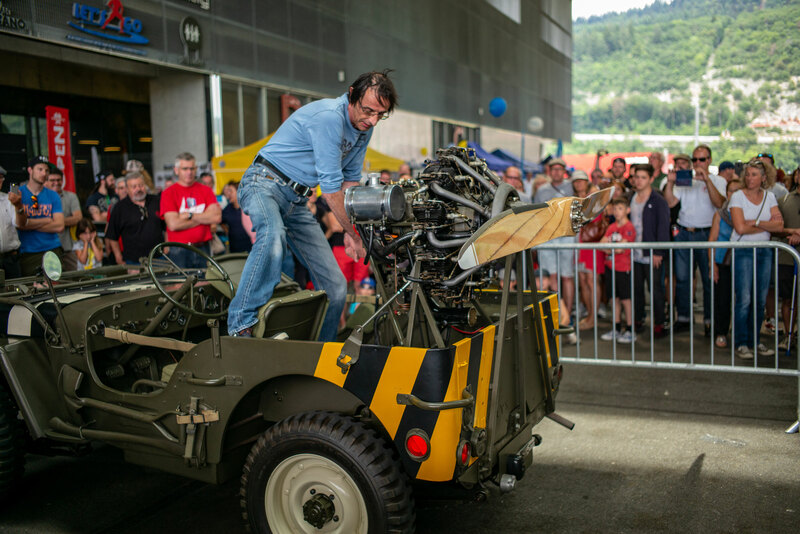 On the occasion of the first-time performance of the vintage car meeting Old Wheels Biel-Bienne, the Antonov-Club Switzerland will organize on Saturday, June 16, 2018 club flights from the airport Grenchen. 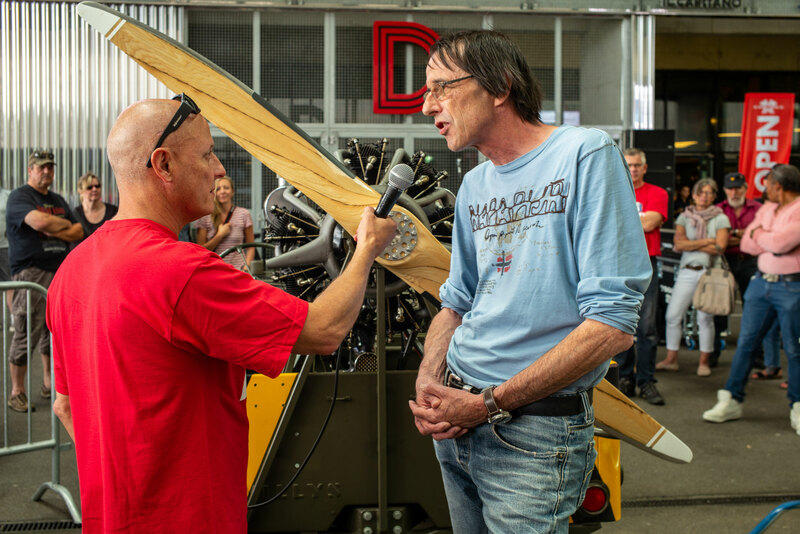 The Antonov An-2 is a multipurpose aircraft with a wingspan of 18.175 m, the largest single-engined biplane in the world in use. 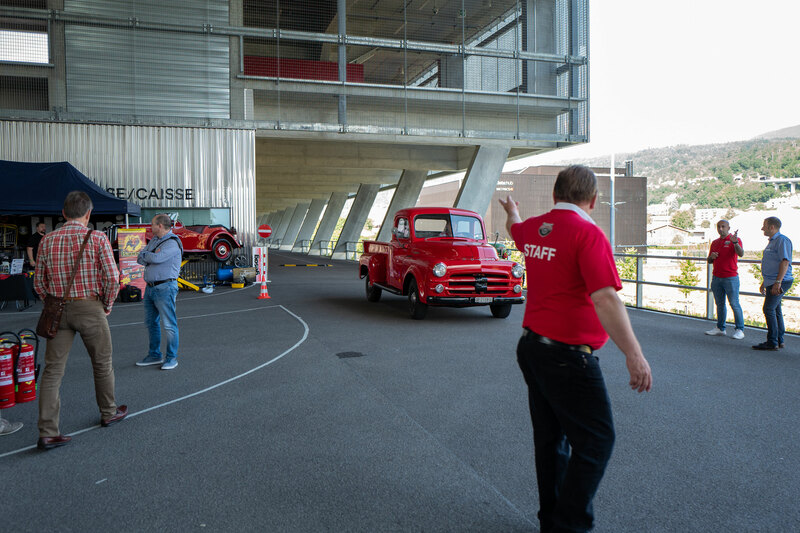 The sightseeing flights specifically include a flyby at the Tissot Arena. 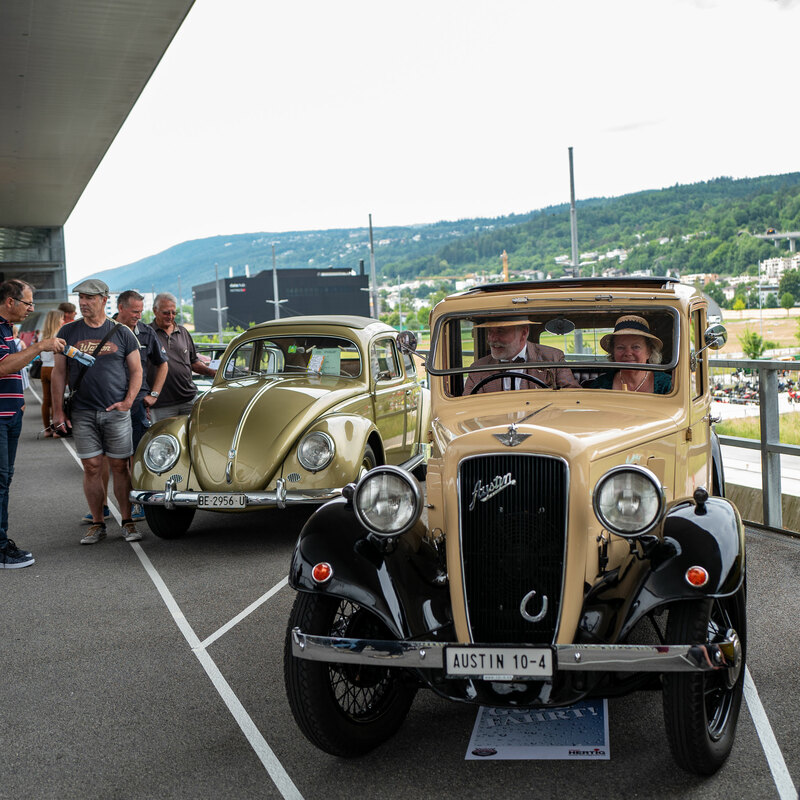 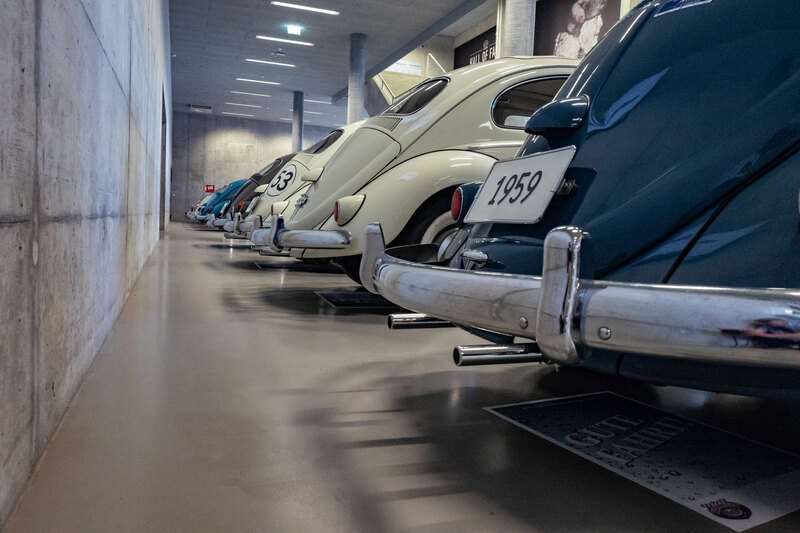 Urs and Andreas Weibel from Aarberg show their collection: 20 VW Beetles from the years 1948 to 1967 and 20 other special models. 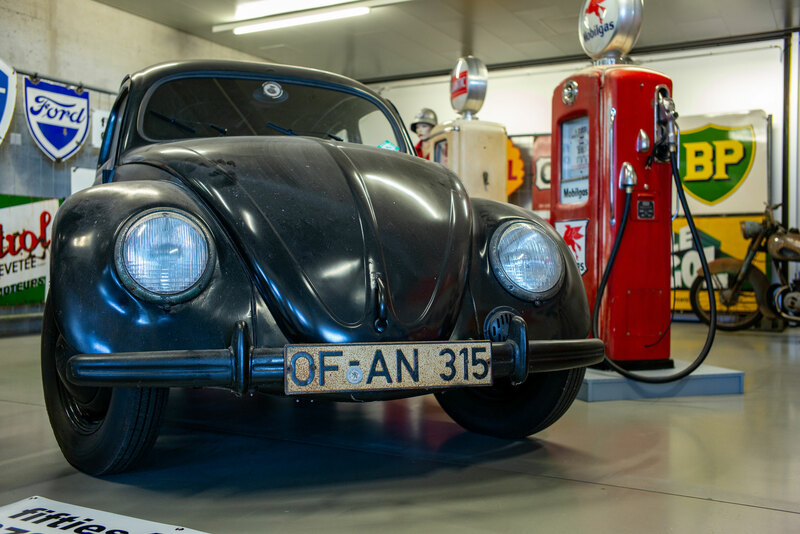 The VW Beetle is a vehicle model of the lower middle class of the Volkswagen brand with air-cooled four-cylinder boxer engine and rear-wheel drive. 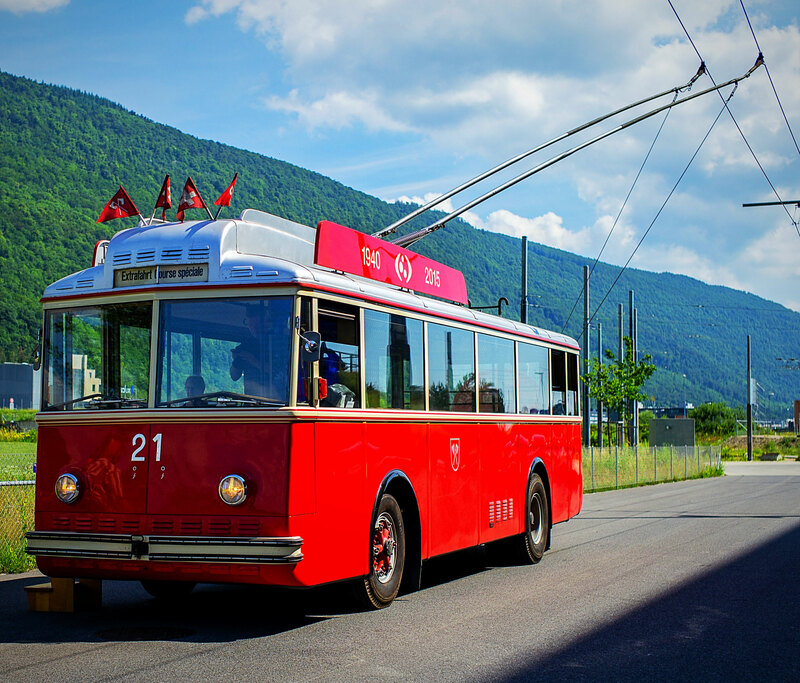 It was built from the end of 1938 to the summer of 2003. 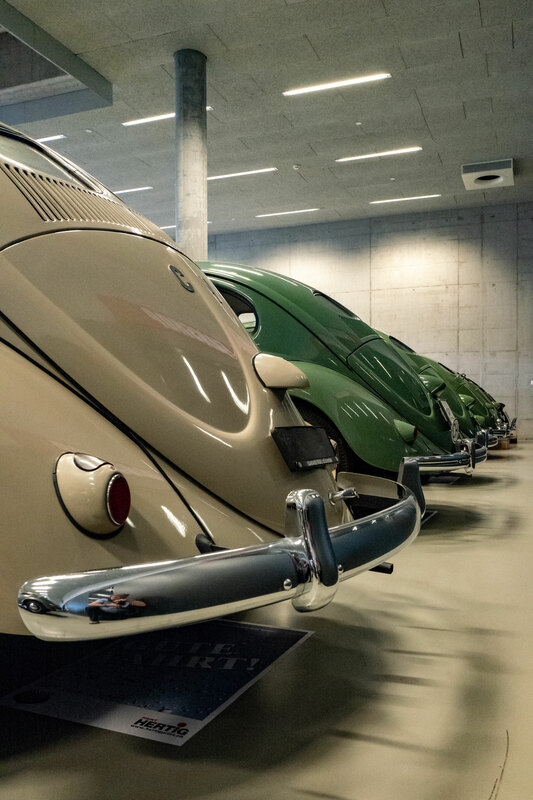 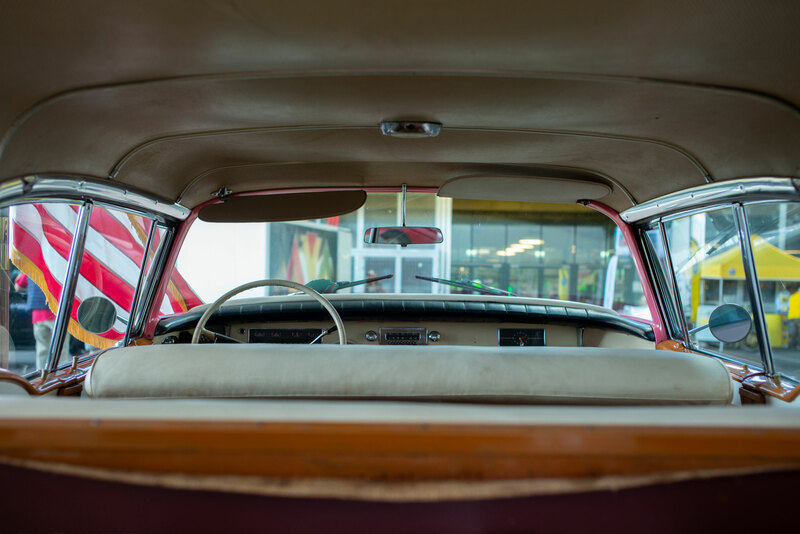 With more than 21.5 million vehicles, the car became the world's best-selling automobile before being surpassed by the VW Golf in June 2002.